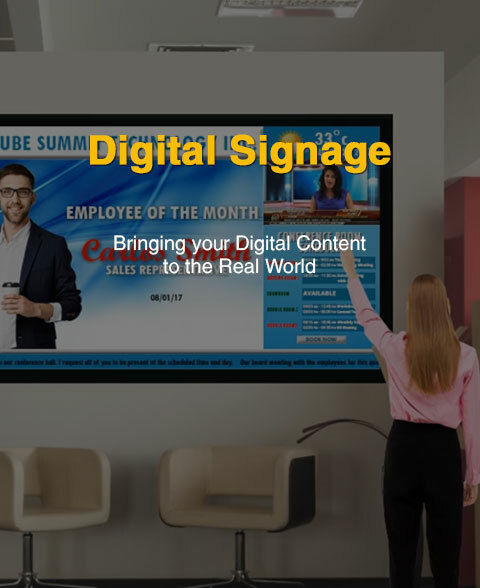 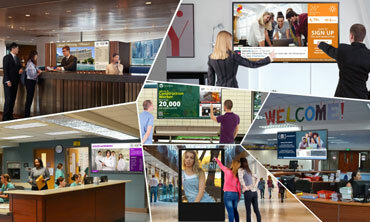 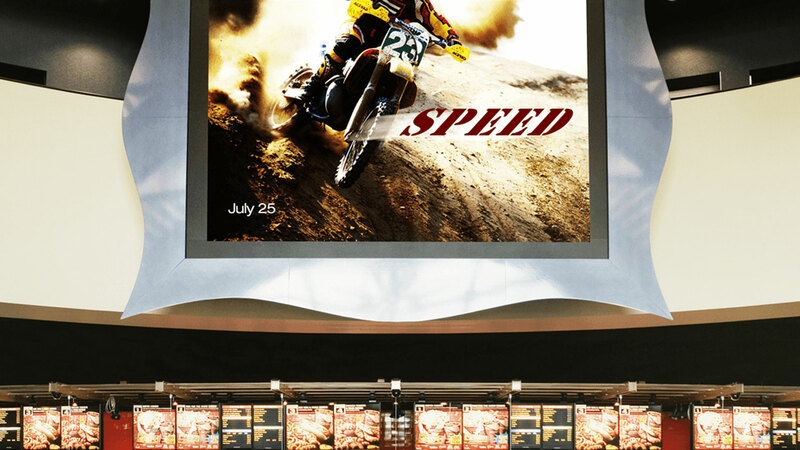 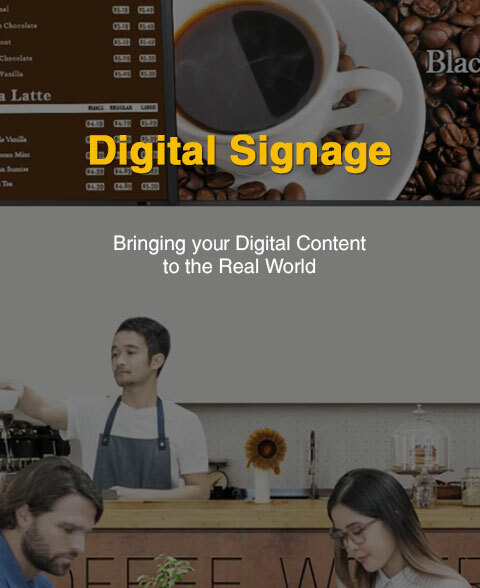 Digital Signage - Dimension Systems, Inc. 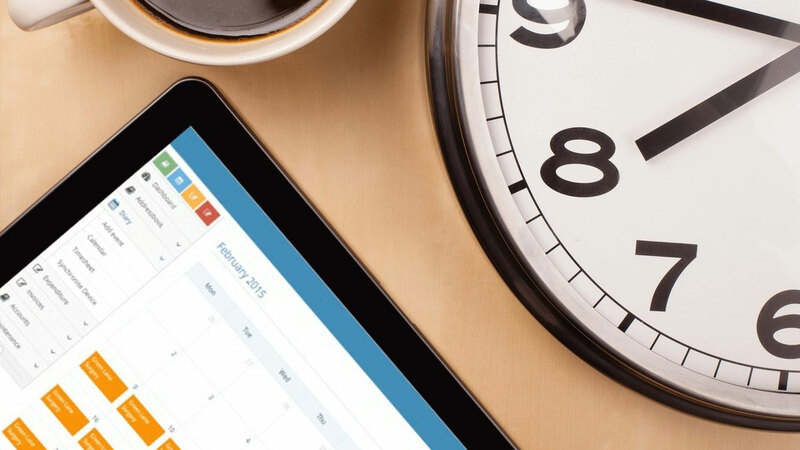 Manage your content by organizing them into groups. 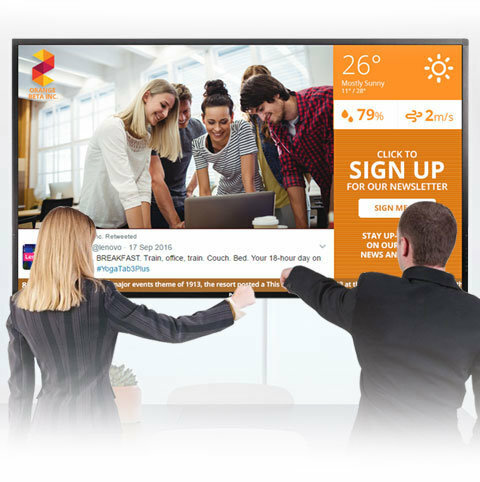 Assign certain campaigns on different screens registered. 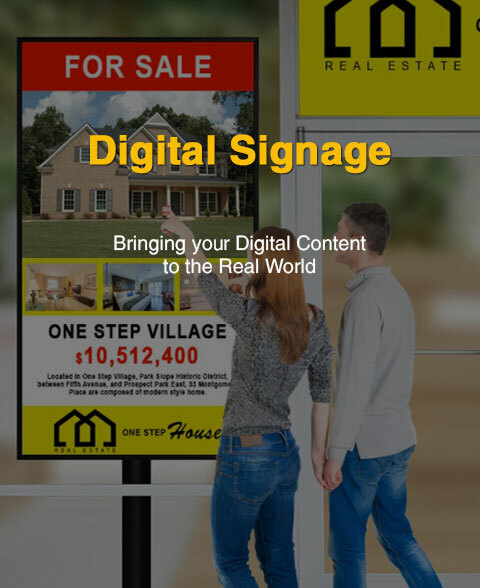 Upload as much as you like and integrate multiple content format like images, videos, websites, RSS feeds and social media accounts to your campaign. 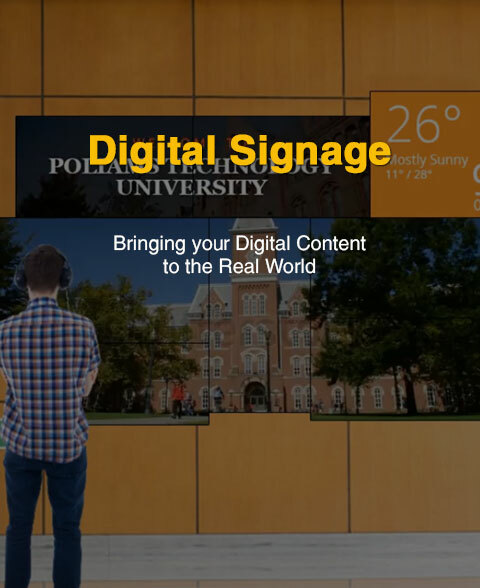 Make your content more engaging and interactive to your audience. 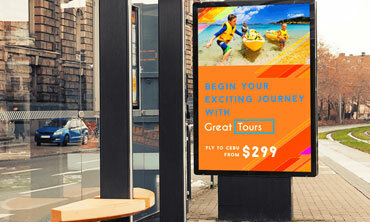 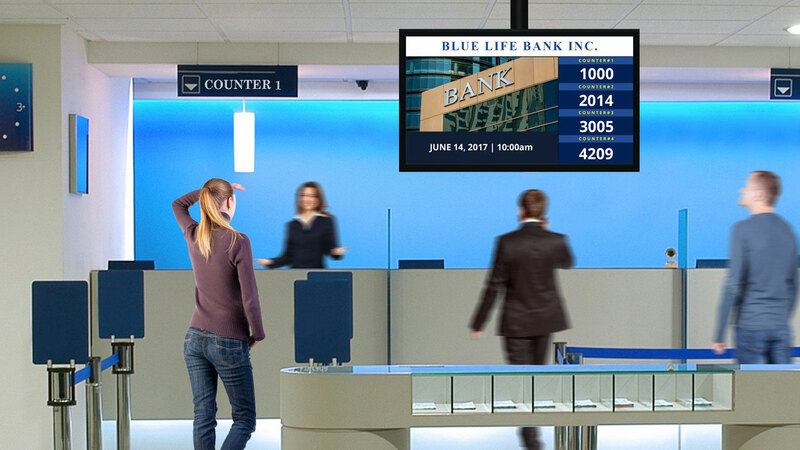 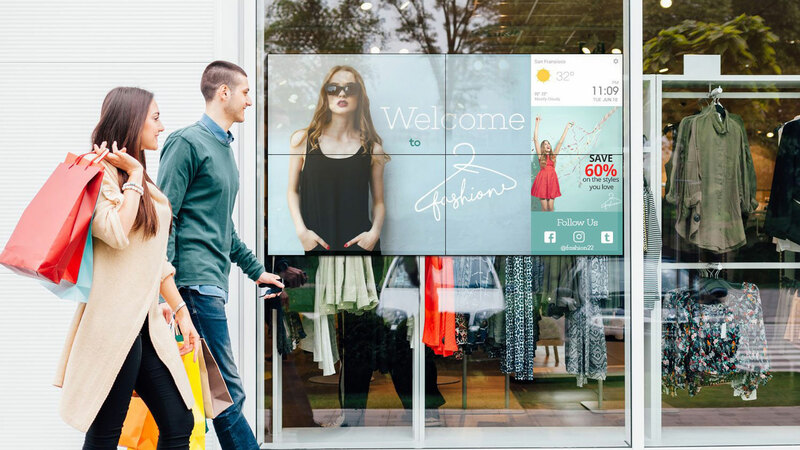 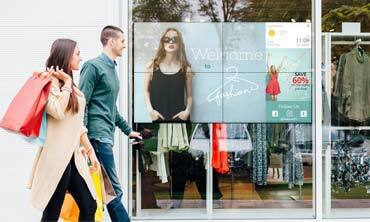 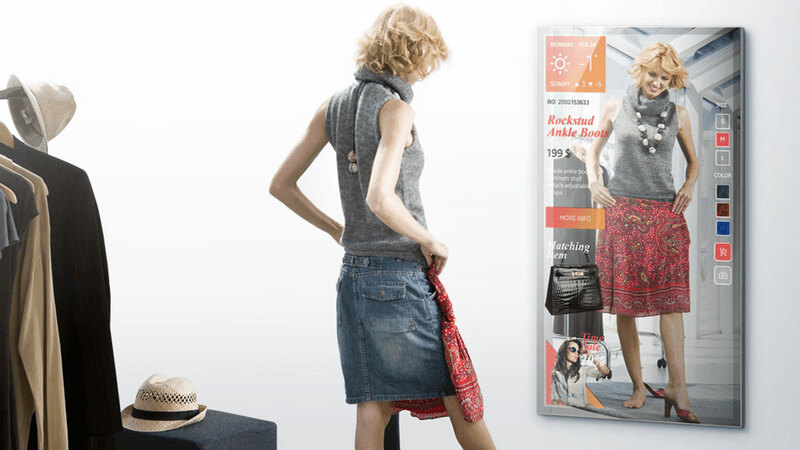 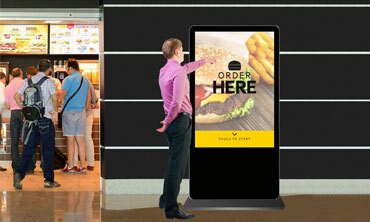 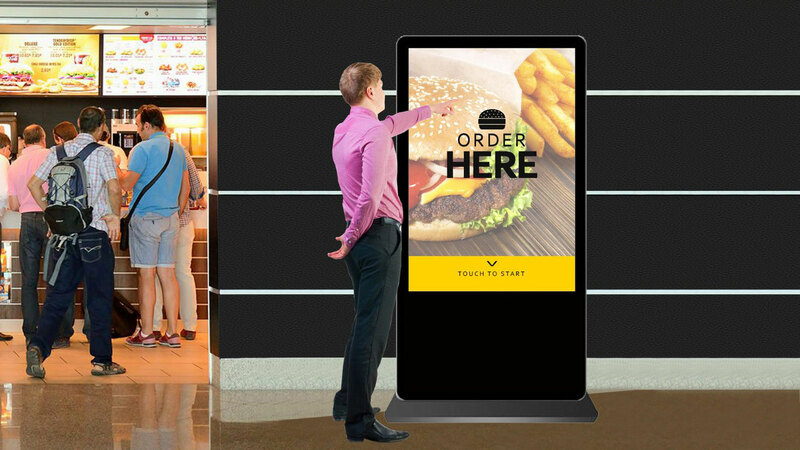 Dynamic and animated displays that will turn passersbys into customers. 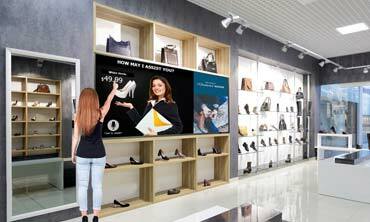 Entertain your avid shoppers as they enter your store. 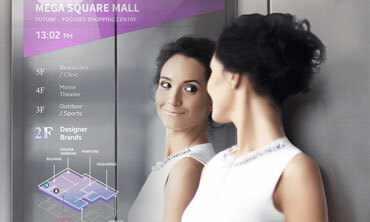 Go paperless with gondolas that you can install inside your shops. 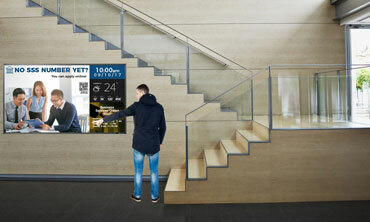 Waiting too long? 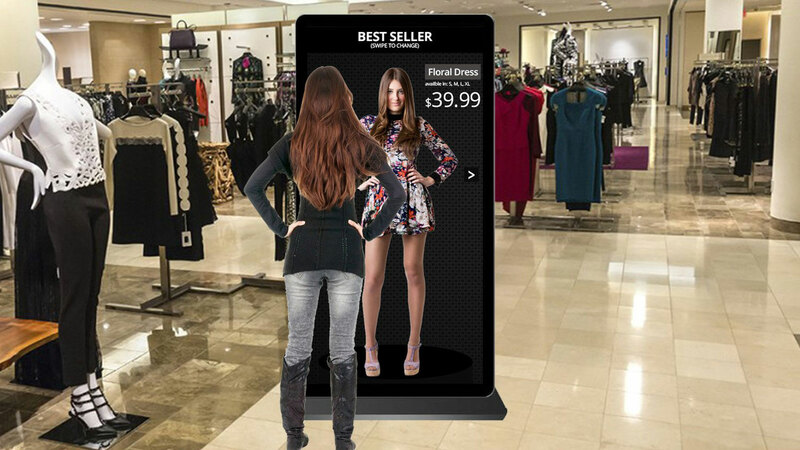 Try out clothes without having to go to a fitting room. 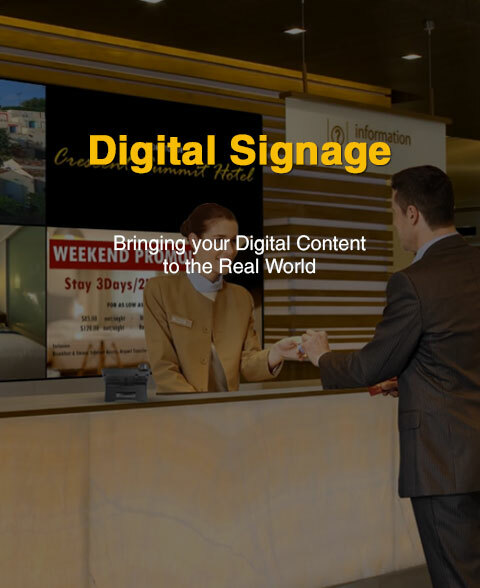 Keep customers entertained while being able to provide relevant information. 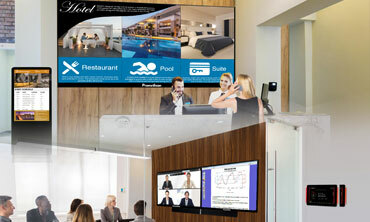 Get professional opinion from their remote experts on their products. 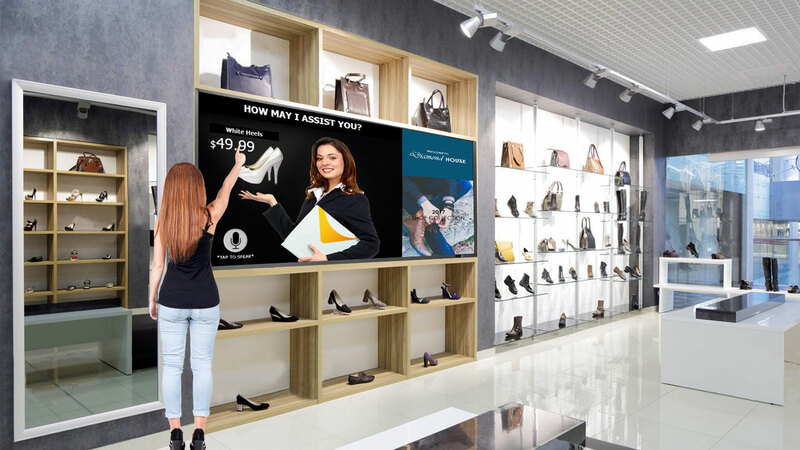 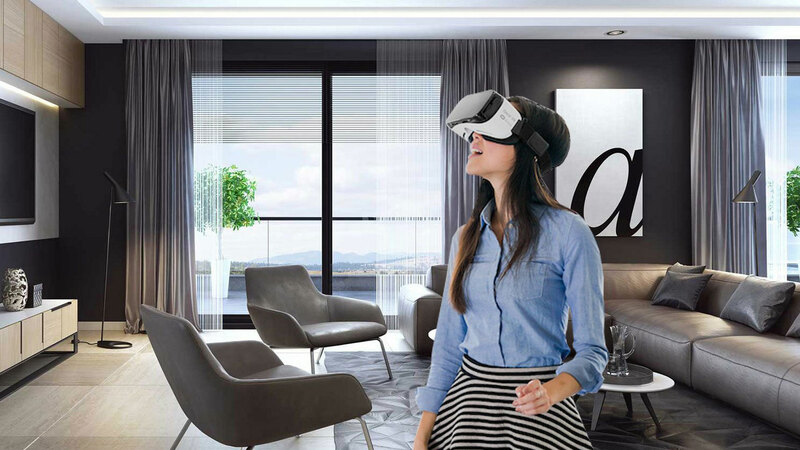 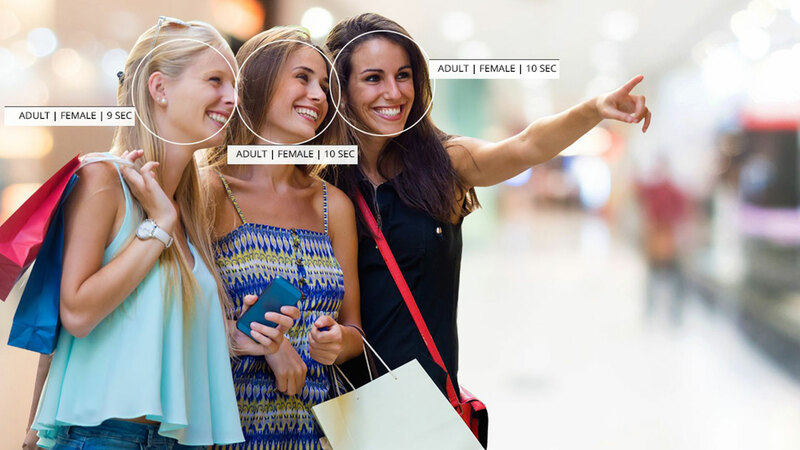 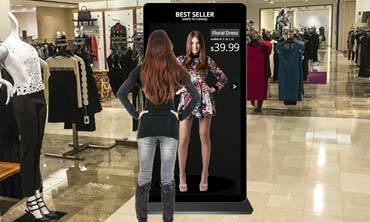 Attract visitors with appealing store design, while promoting hot items, virtual dressing room experiences, and providing helpful information about product location within the store. 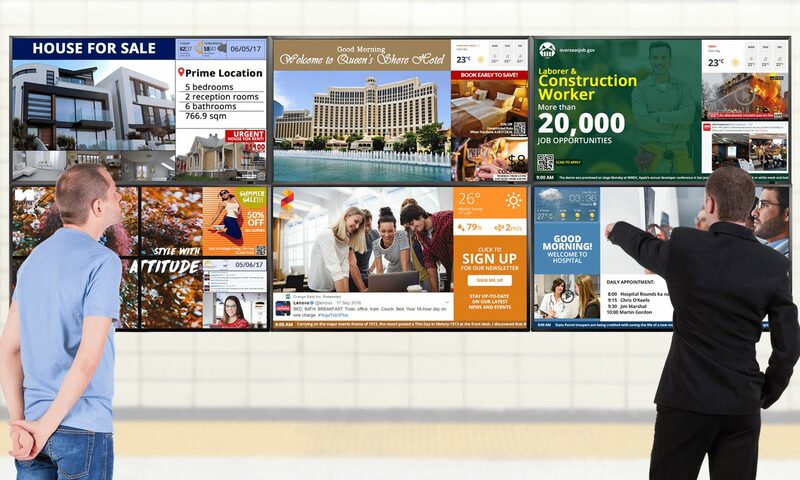 Disseminate information on customer rewards programs, real-time local news, ad provide more personalized experiences. 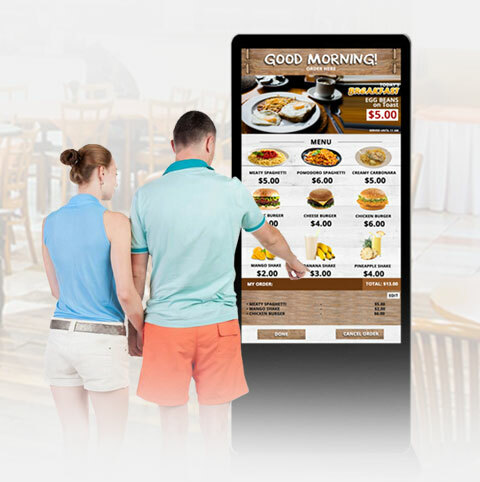 Keep your products and prices up-to-date to reflect diner tastes. 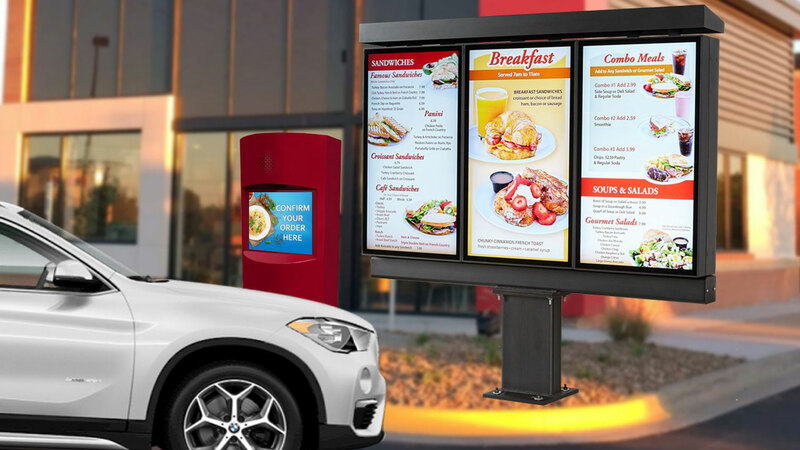 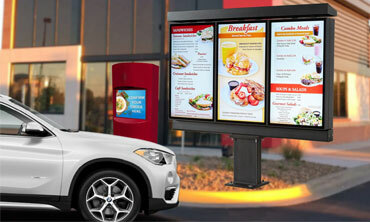 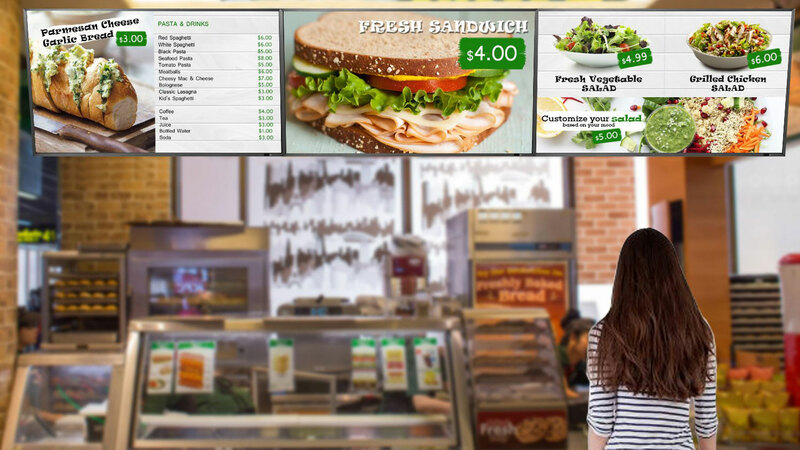 Provide a more inviting visual menu board for drive-thru guests. 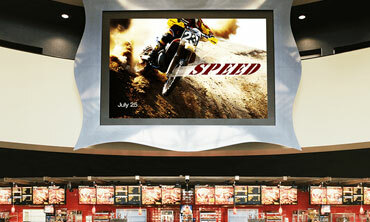 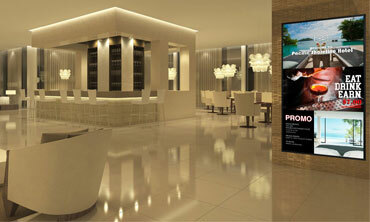 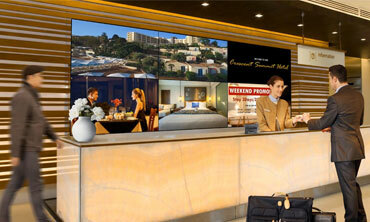 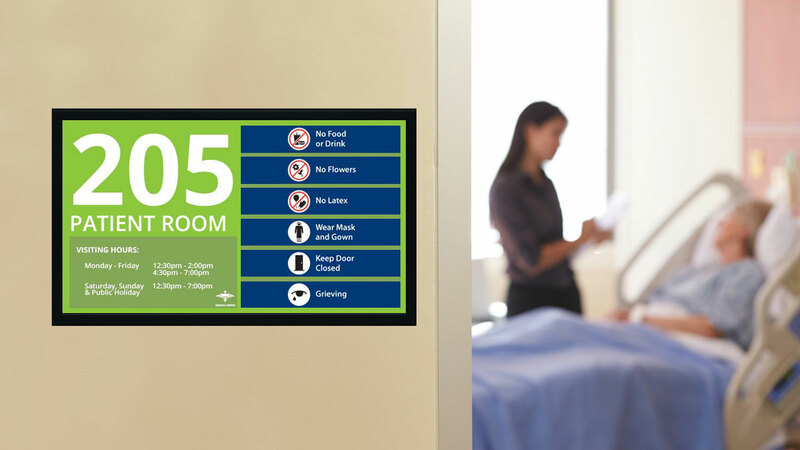 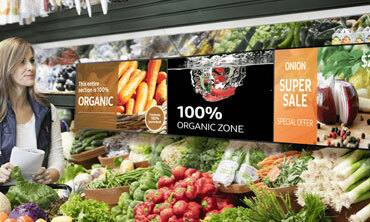 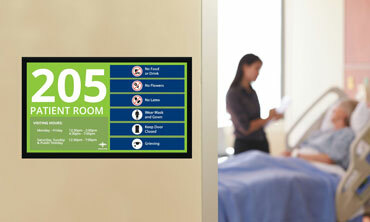 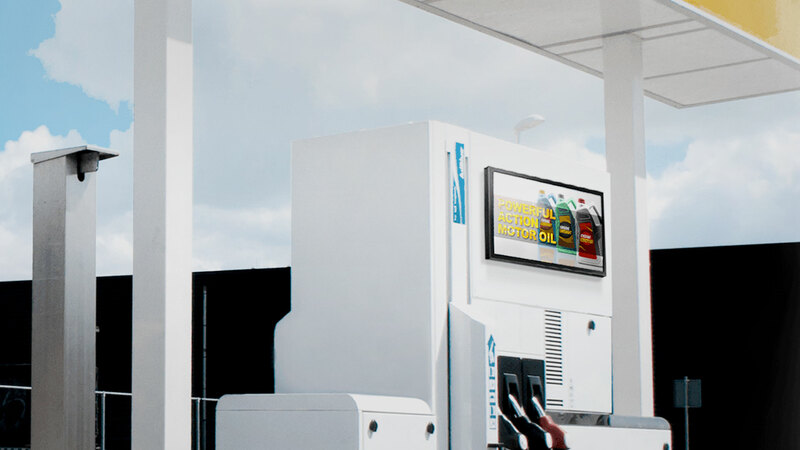 Attract potential guests with dynamic displays to your establishments. 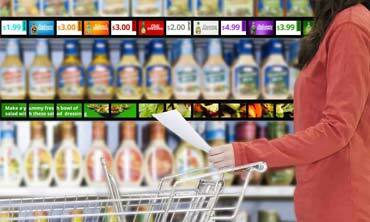 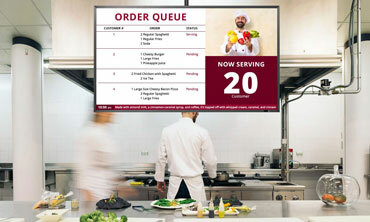 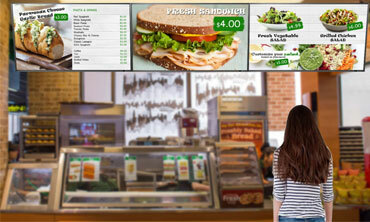 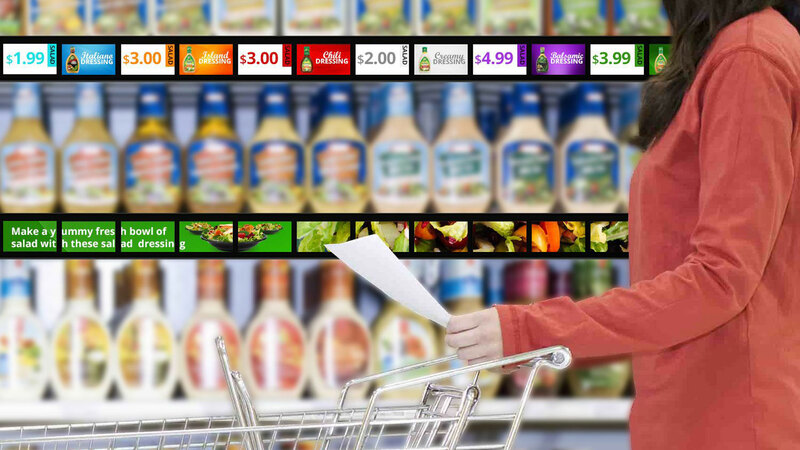 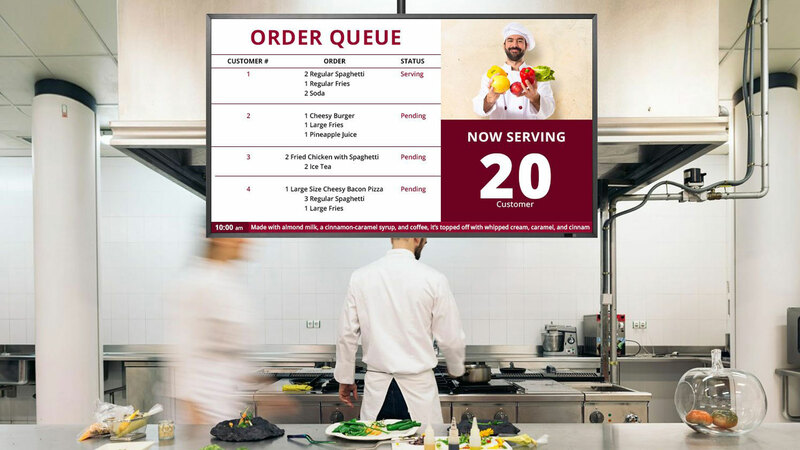 Streamline production and operations of the kitchen by incorporating your POS to your queuing board. 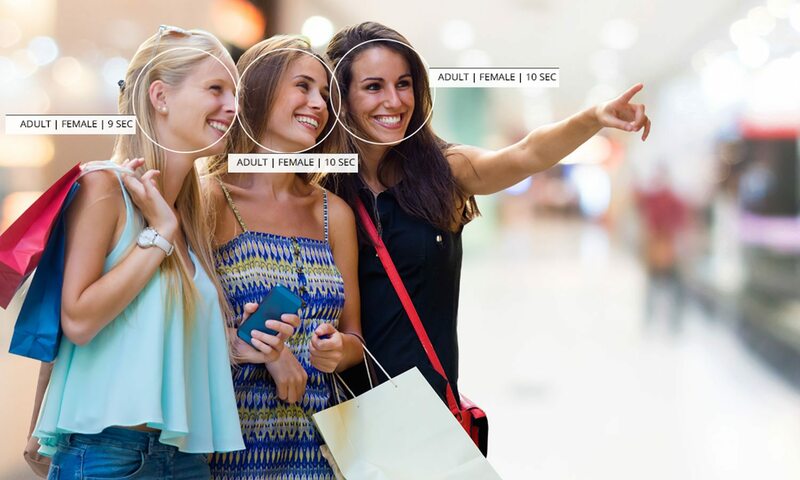 Keep your customers amused while waiting in line. 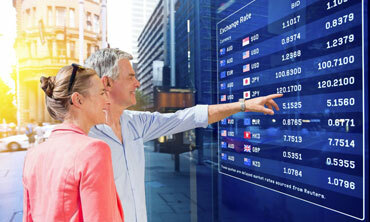 Providing interactive access to the most powerful insight into the global financial markets. 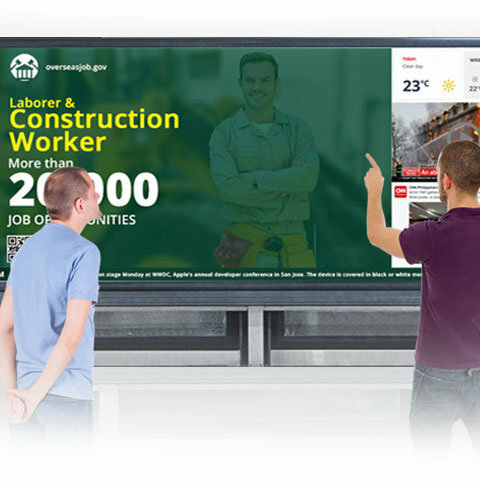 Use your content or library of workplace topics like safety, quality and recognition. 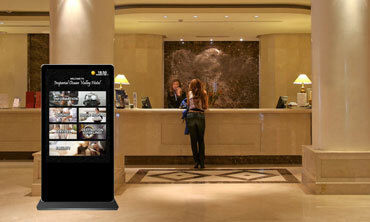 Dynamically guide and direct guests. 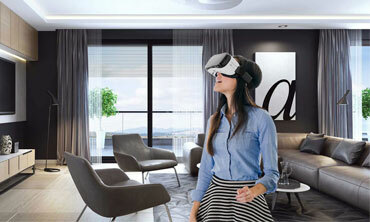 Entertain guests and clients as they wait for their turn to be assisted. 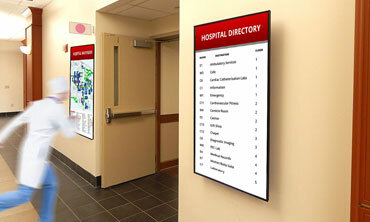 Informing daily notifications and displaying of simple training and business indexing information. 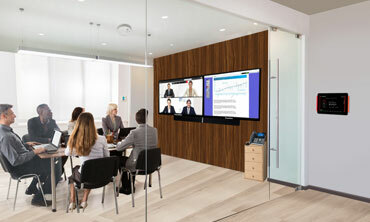 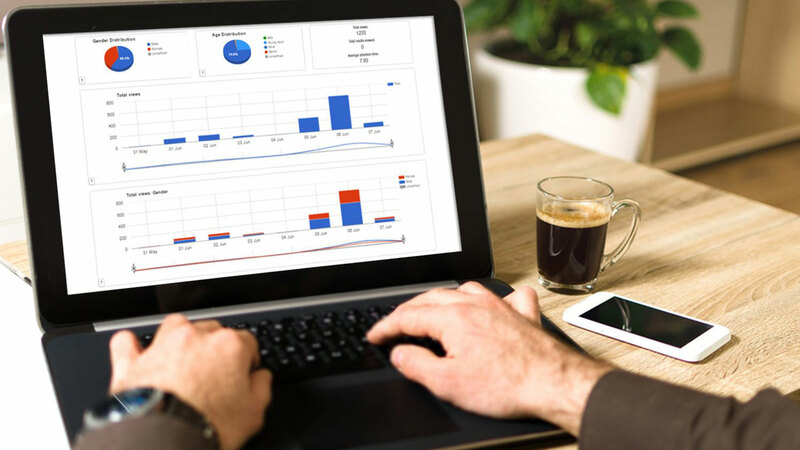 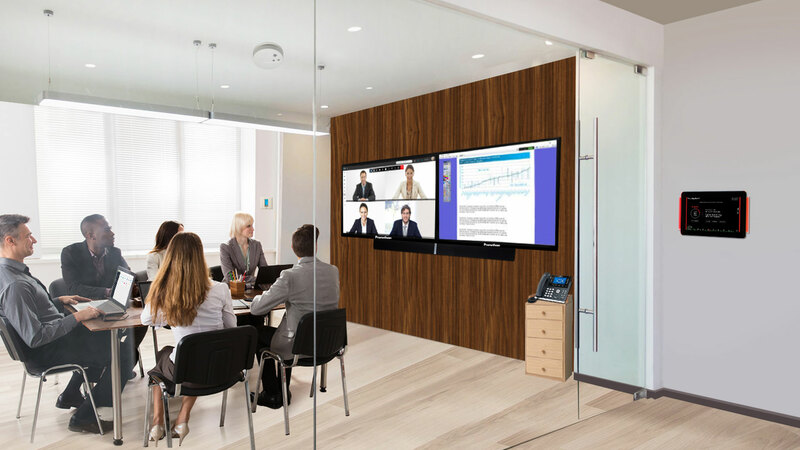 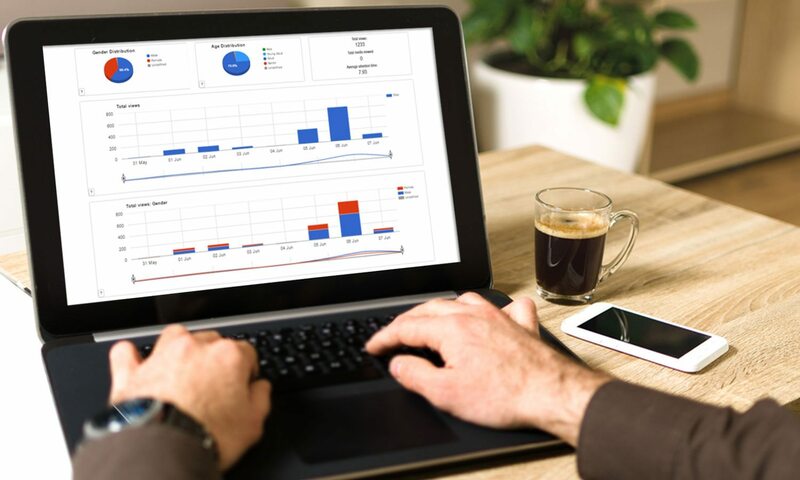 Facilitate an engaging discussion, while supporting seamless video conferencing, providing up-to-date meeting schedules, and augmenting employee training. 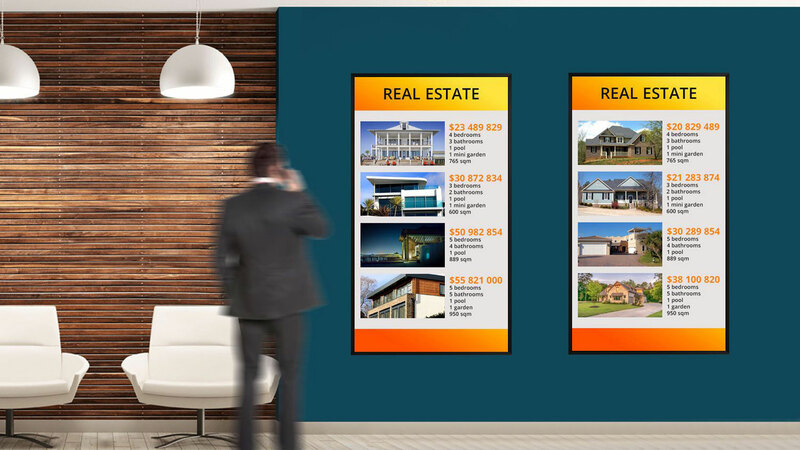 Make your idle whiteboard as another form of signage display when not in use. 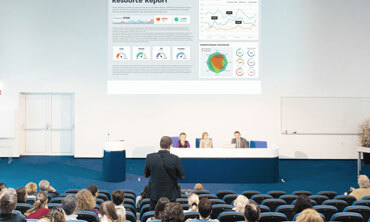 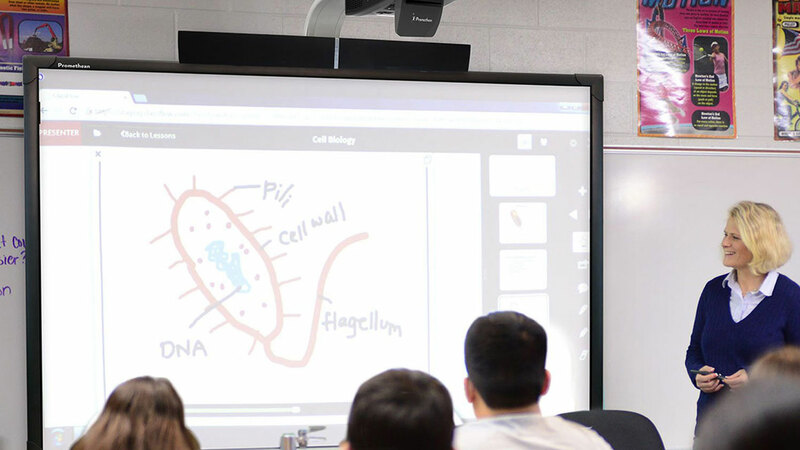 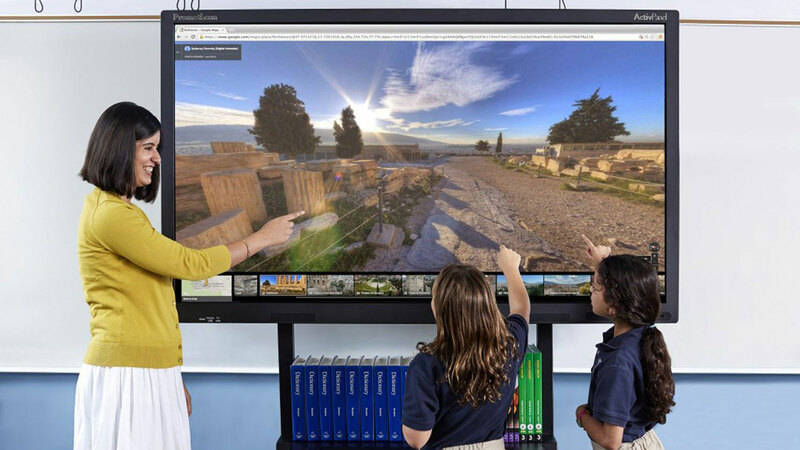 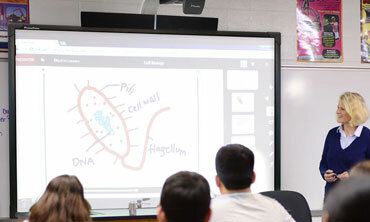 Projectors can be used for learning and display – use them wisely as needed. 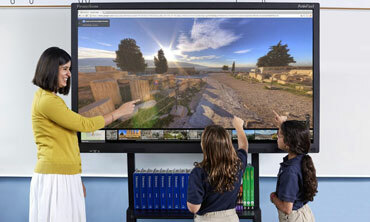 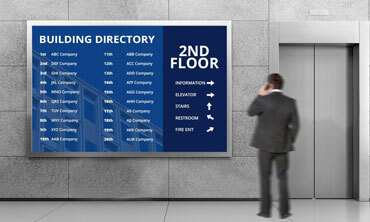 Provide directions and maps that help to direct students to places of interest or new buildings. 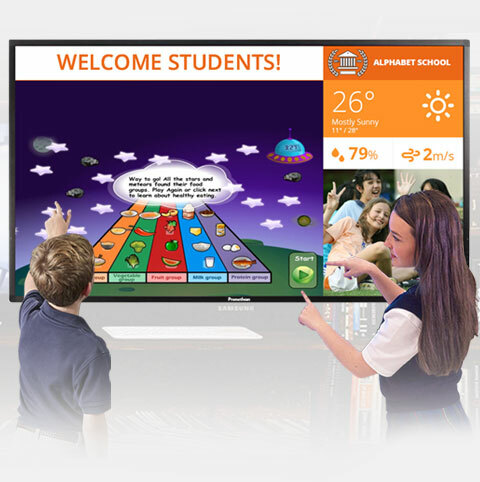 Welcome students and provide necessary content that students and teachers truly want to see. 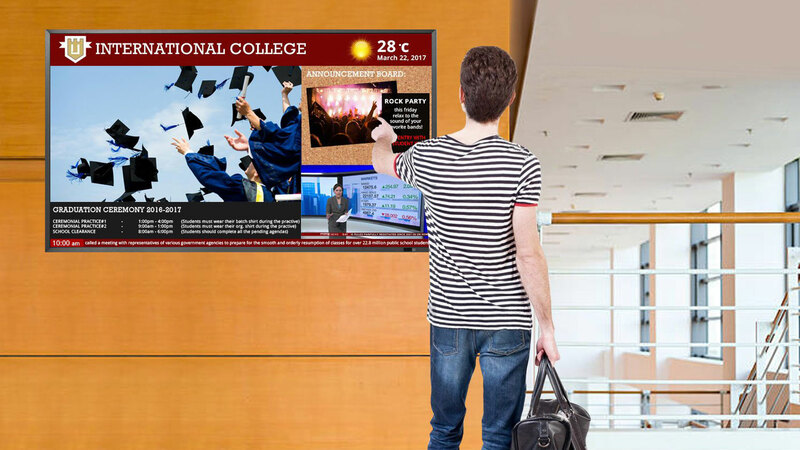 Advertise your institution and what it can offer to neighboring families. 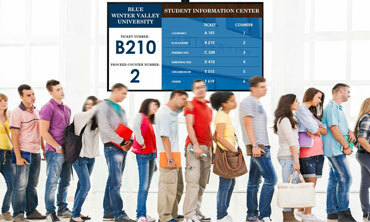 Lessen waiting times for parents and students inside admin offices while they wait for their turn. 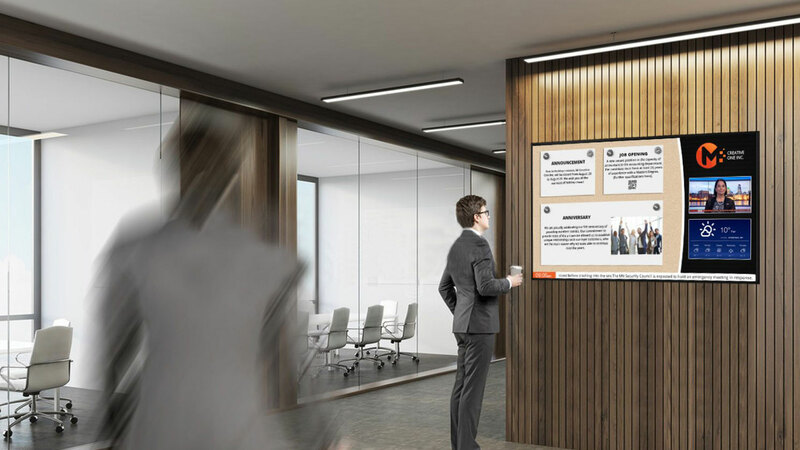 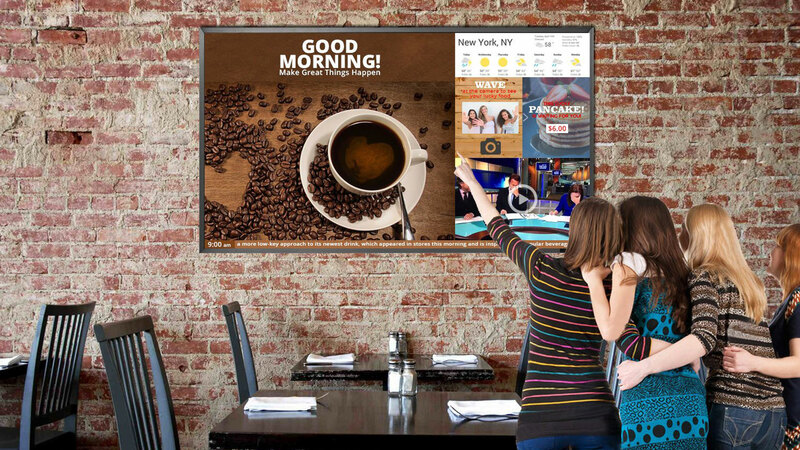 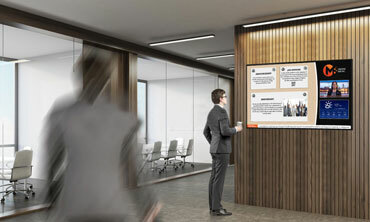 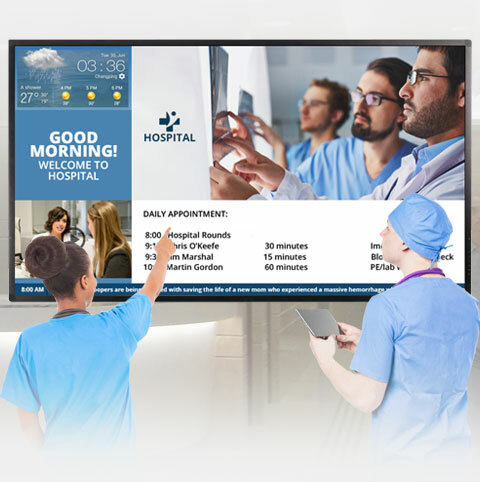 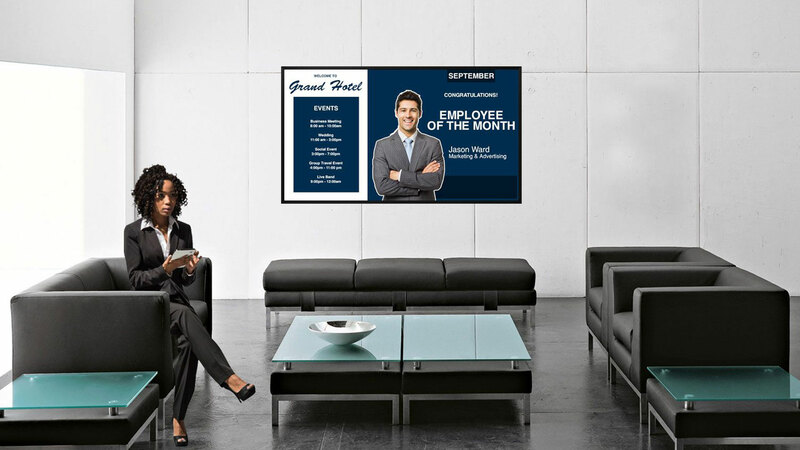 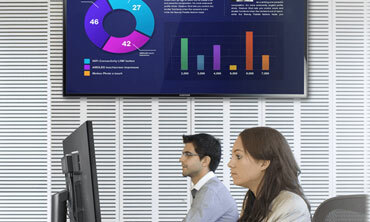 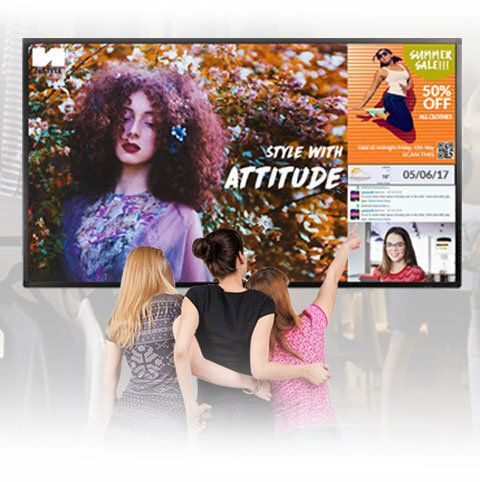 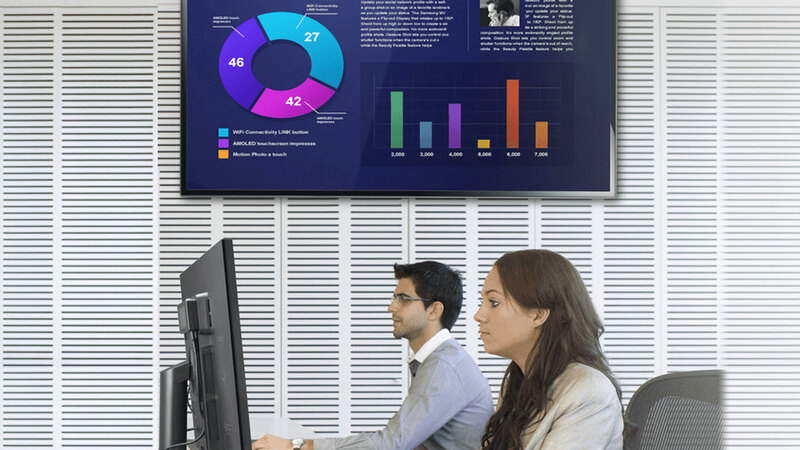 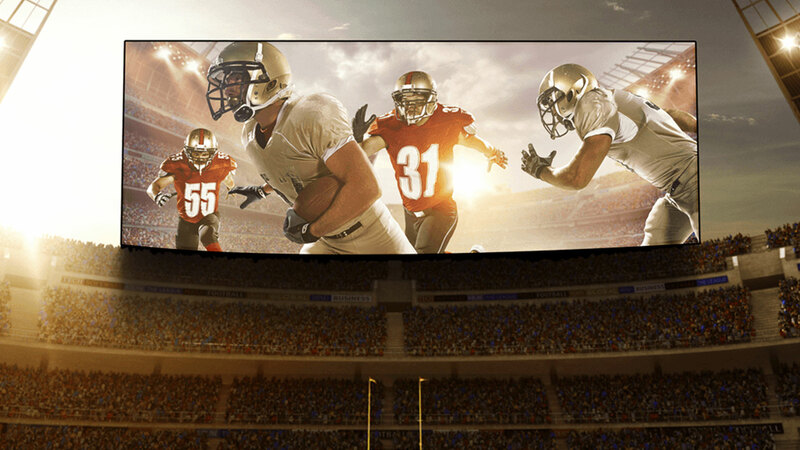 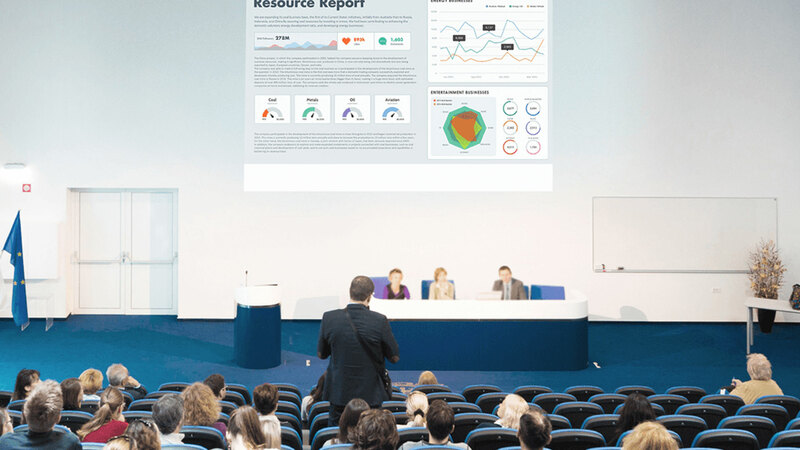 Share presentations with bright and crisp imagery through a video wall and wide standalone digital signage. 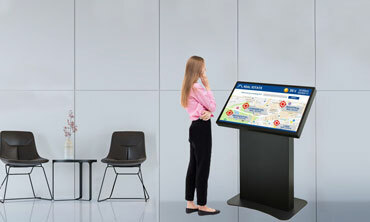 Connect with the public including PWDs by providing relevant information that would help them in their visit. 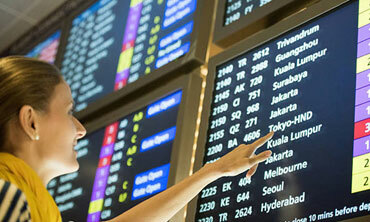 Know the transportation schedules and routes for easier navigation. 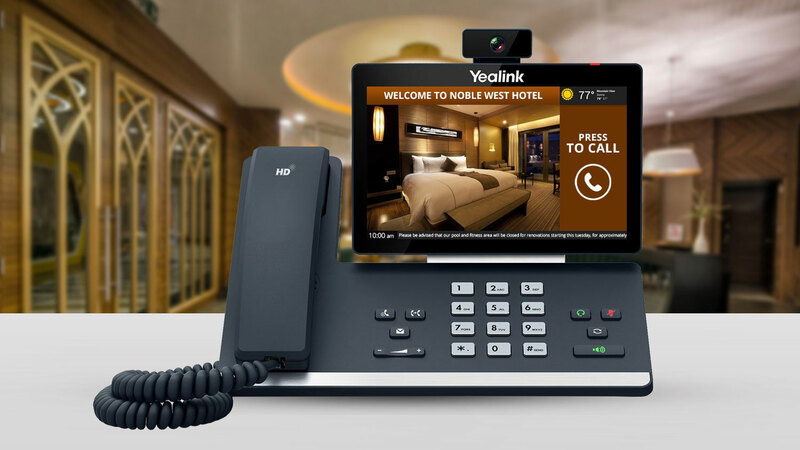 Make calls easier with dynamic displays integrated with smart telephony solutions. 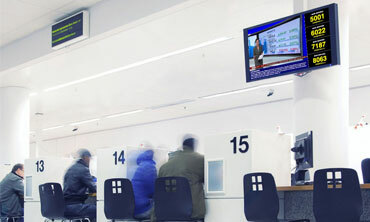 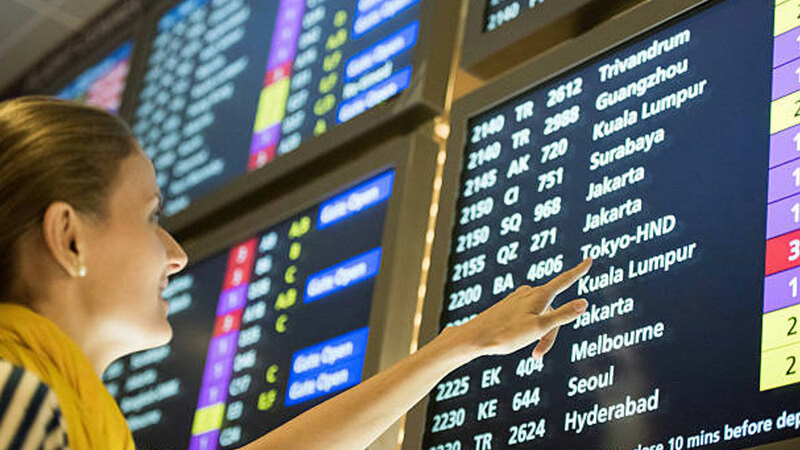 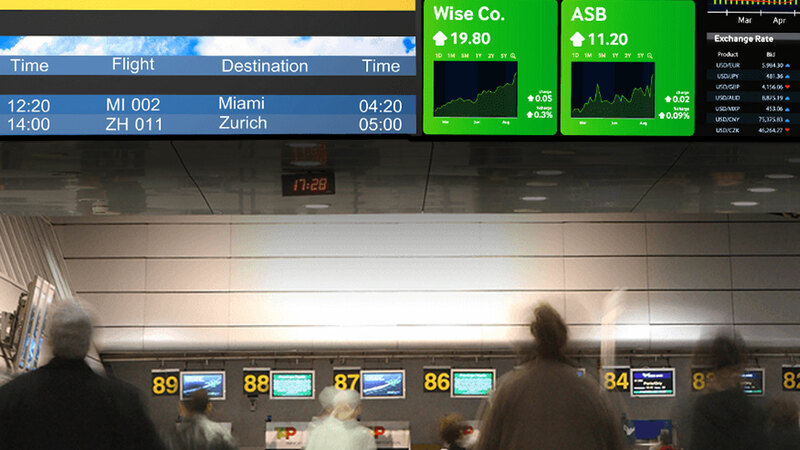 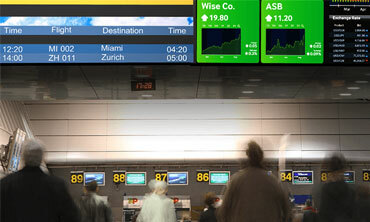 Deliver real-time information at check-in counters, timetables, route maps, in-vehicle signage, wayfinding kiosk. 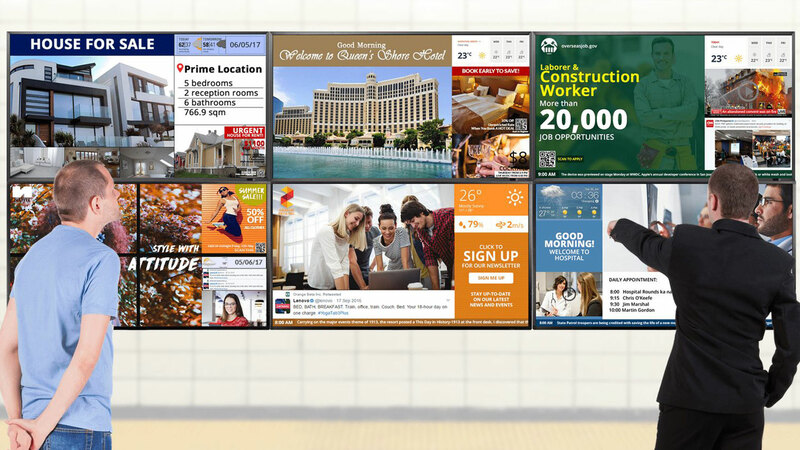 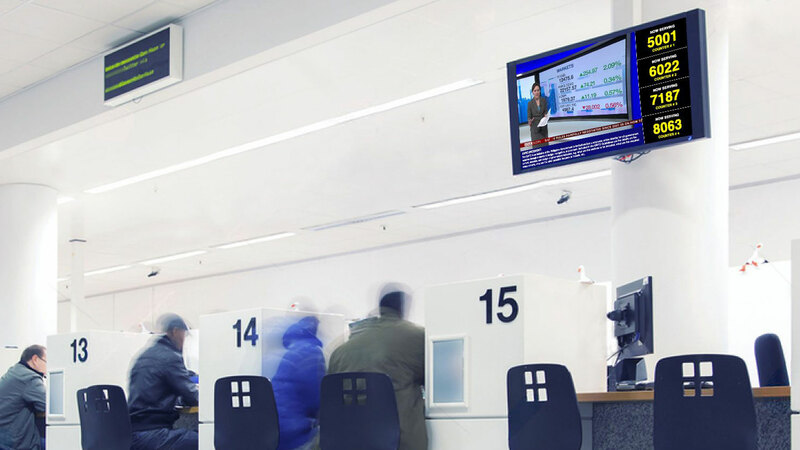 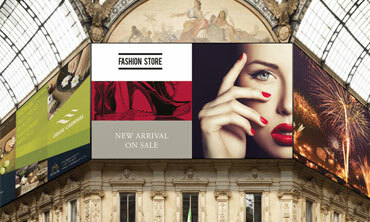 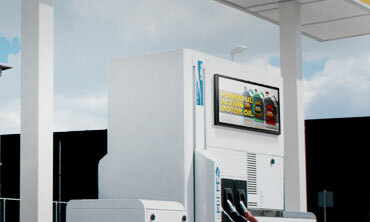 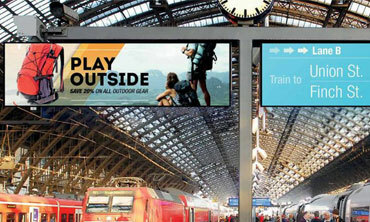 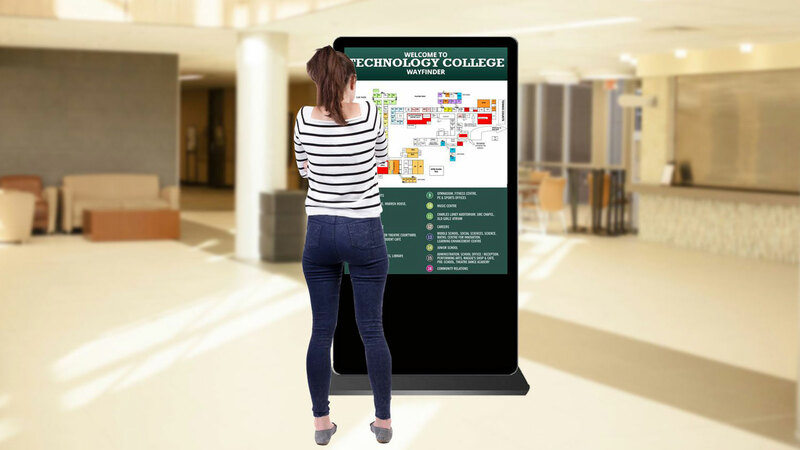 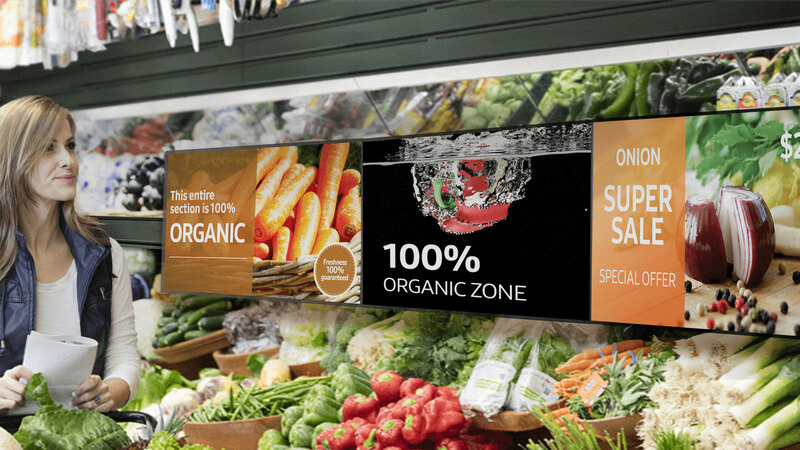 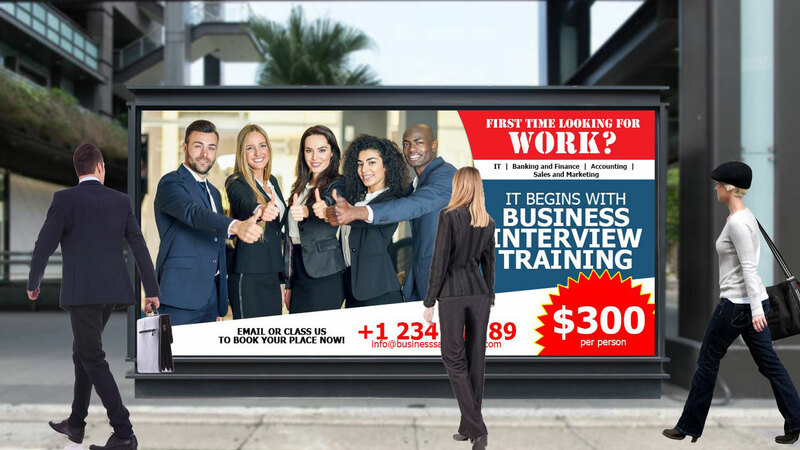 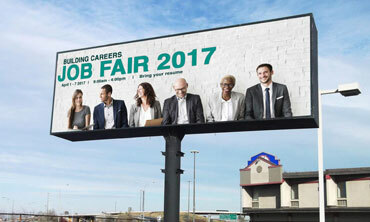 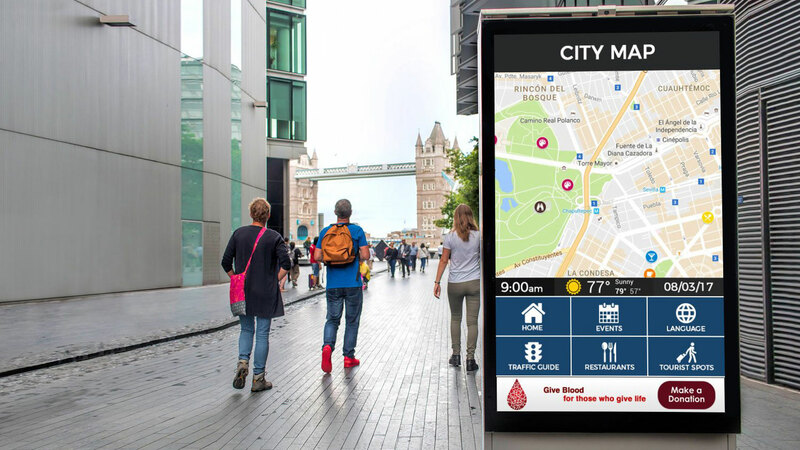 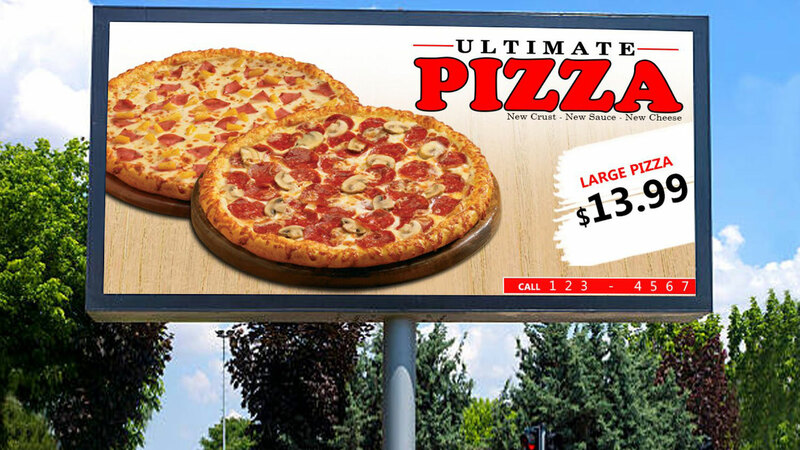 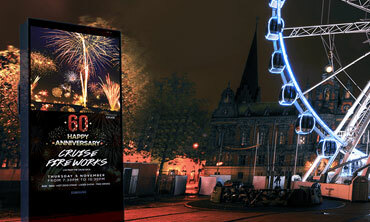 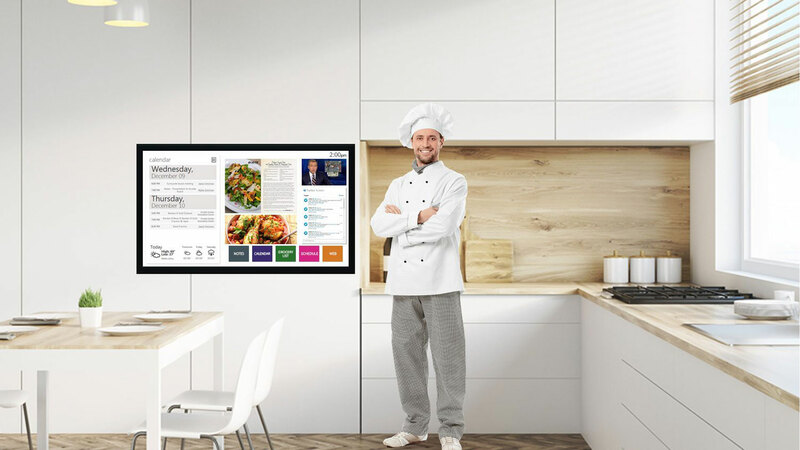 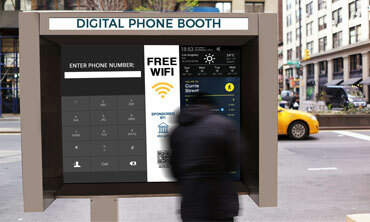 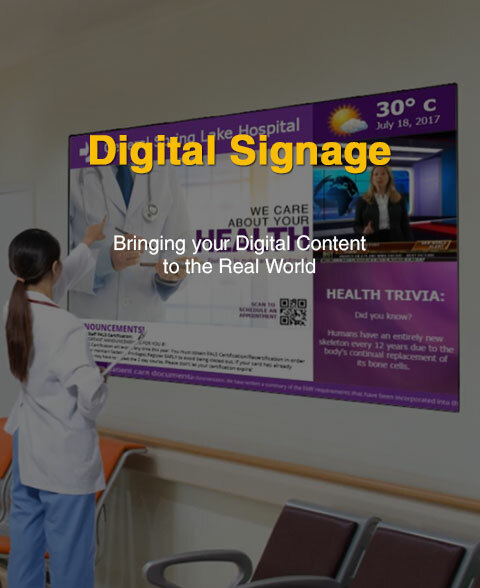 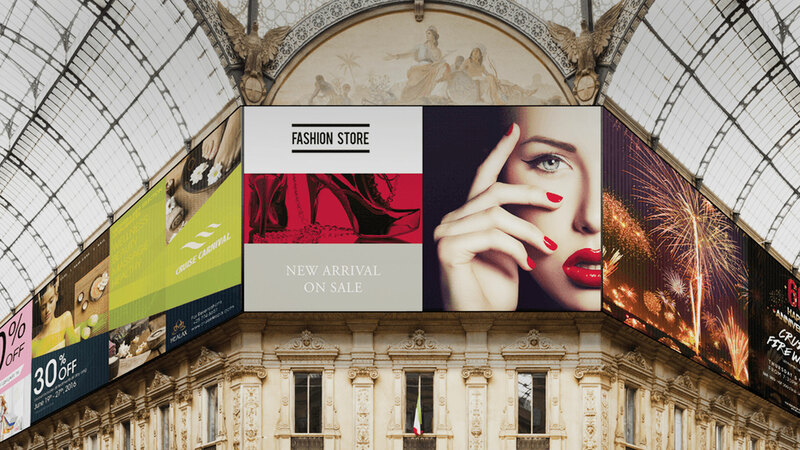 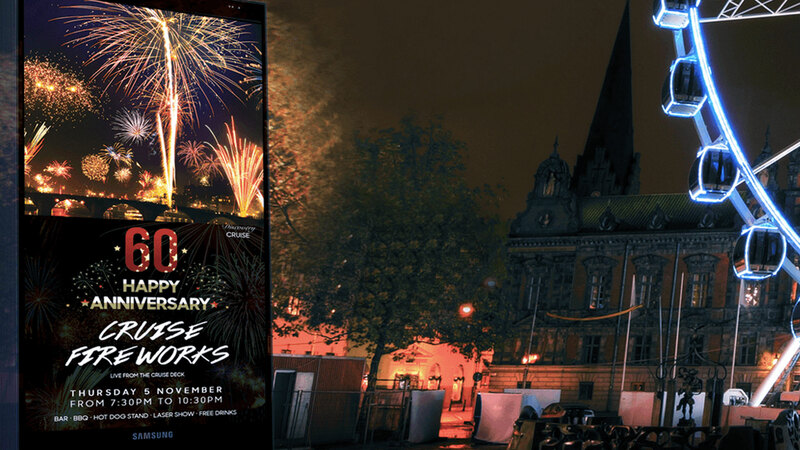 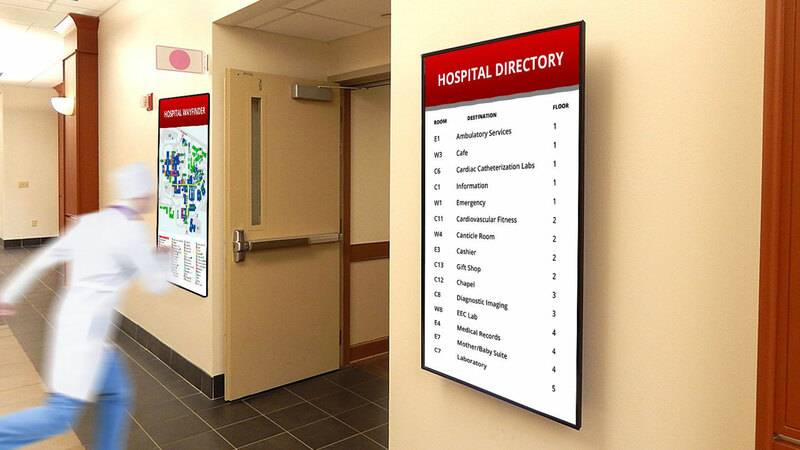 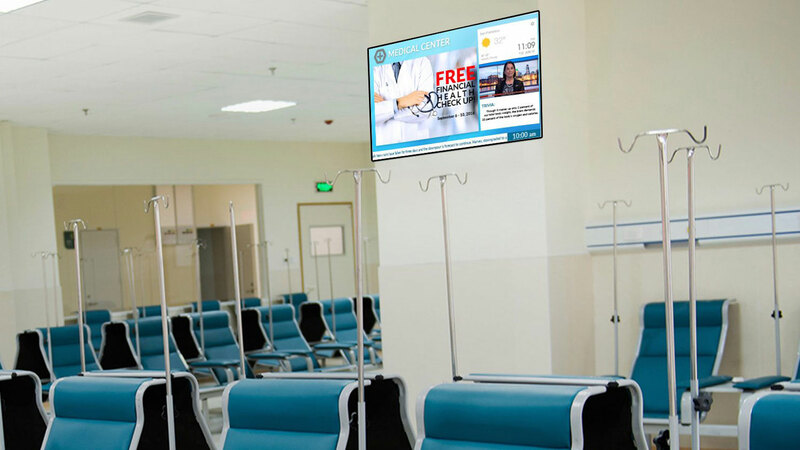 Provide public announcements on large scale displays that can be installed in public areas. 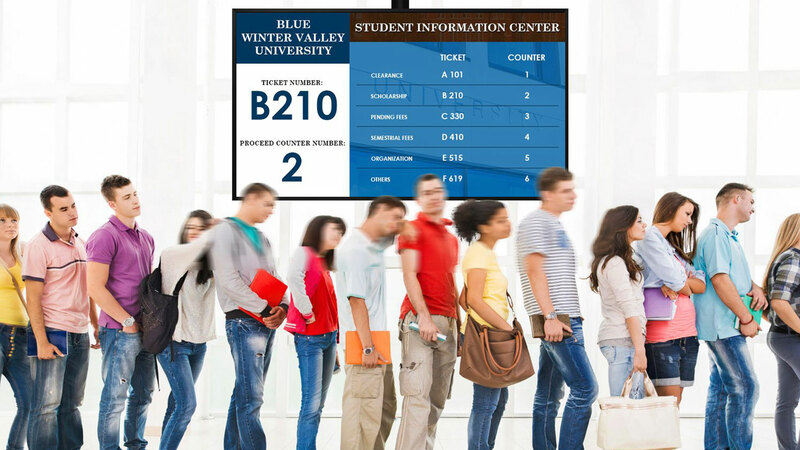 Entertain your visitors as they wait in line. 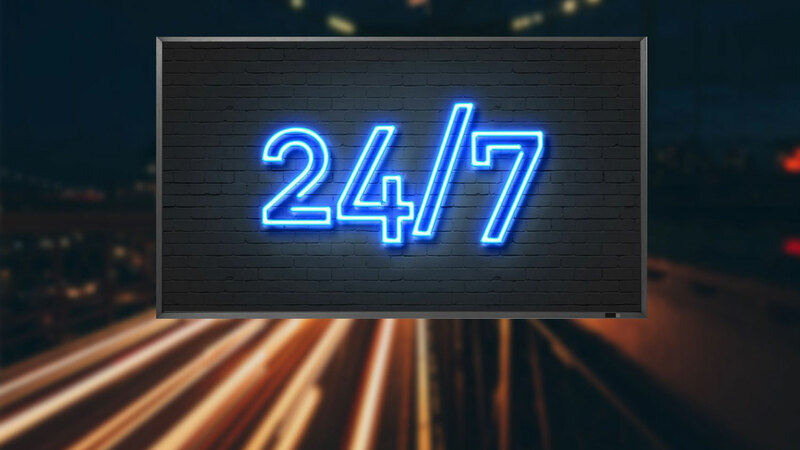 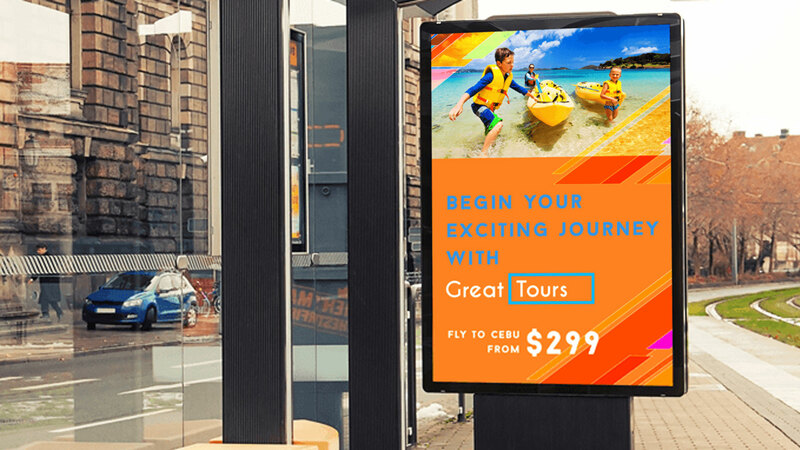 Deliver real-time bus schedule infomation or schedule changes on any delays or cancellations or promote new offerings from advertisers. 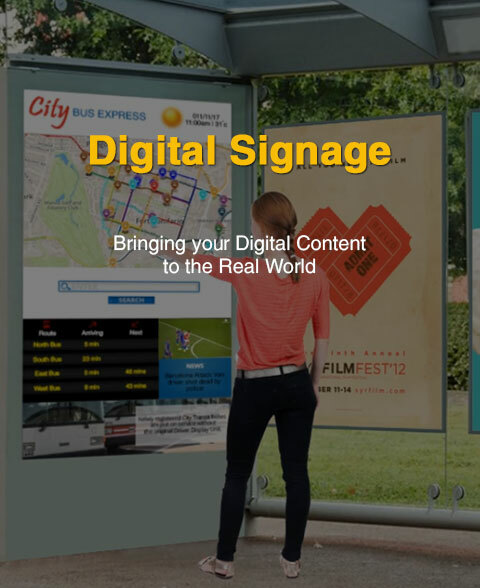 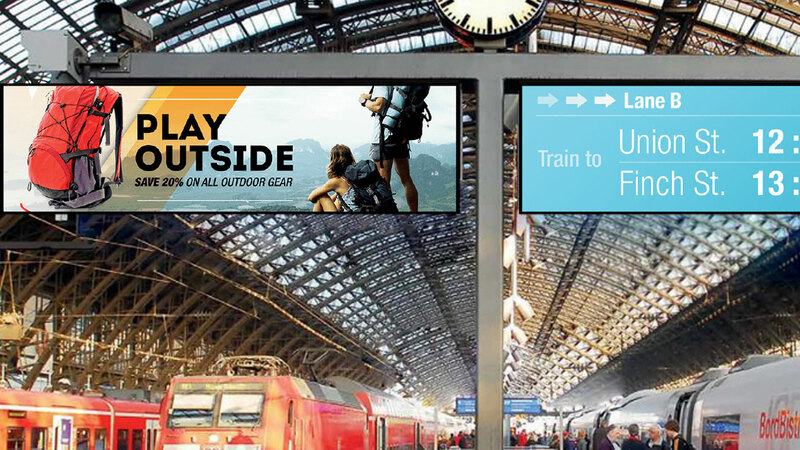 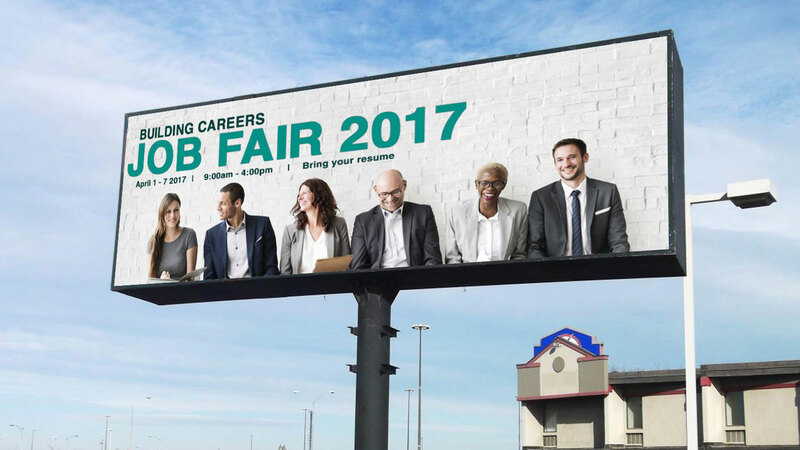 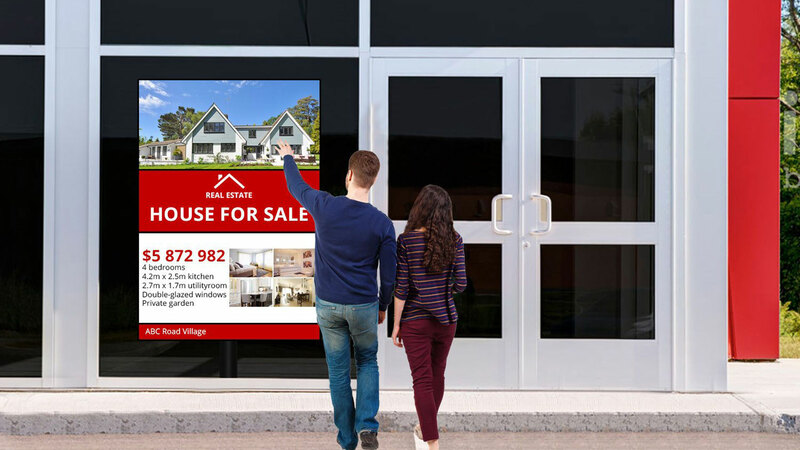 Advertise key promotions through digital out-of-home ads, and DOOH. 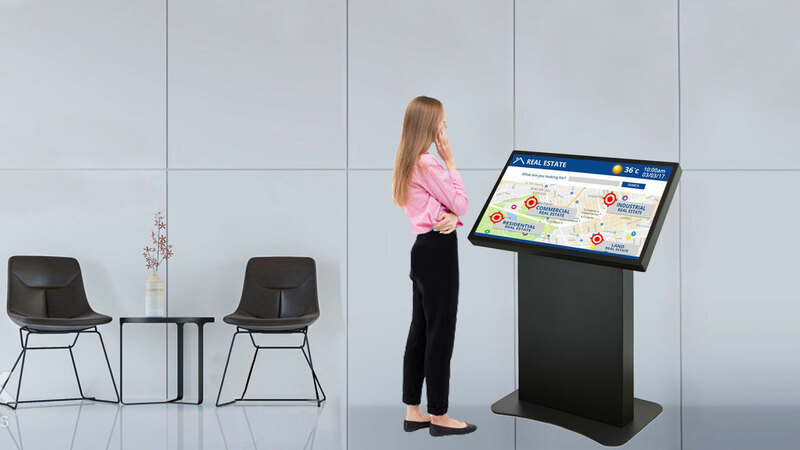 One communication for all visitors and staff members. 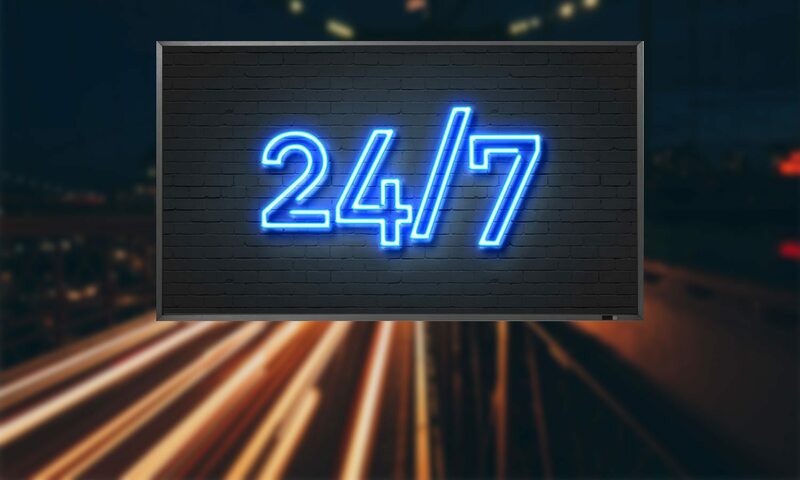 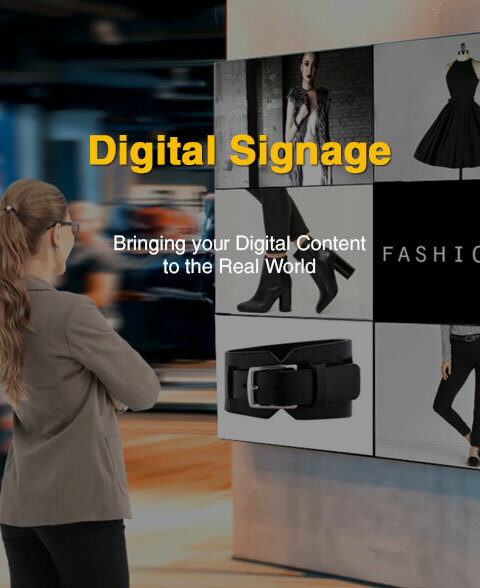 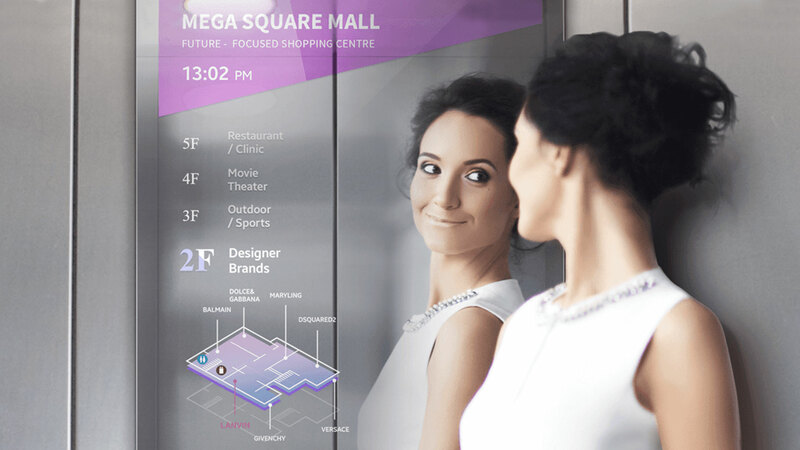 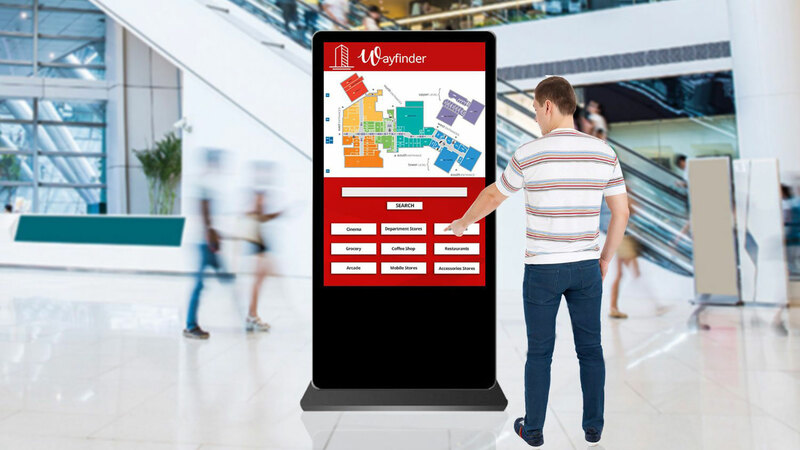 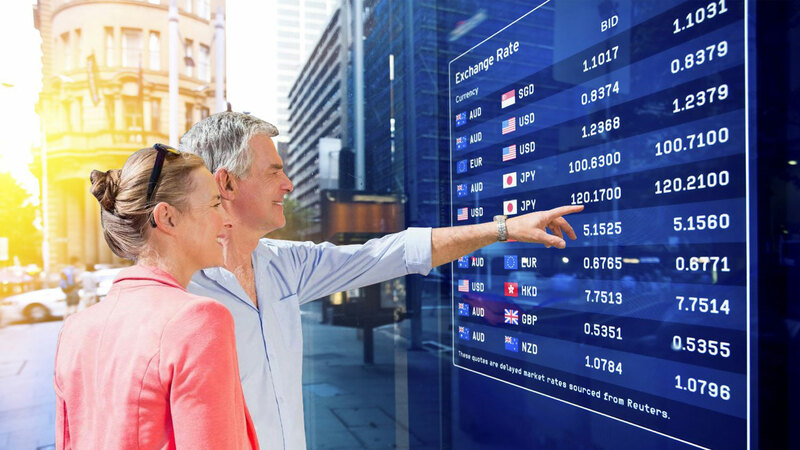 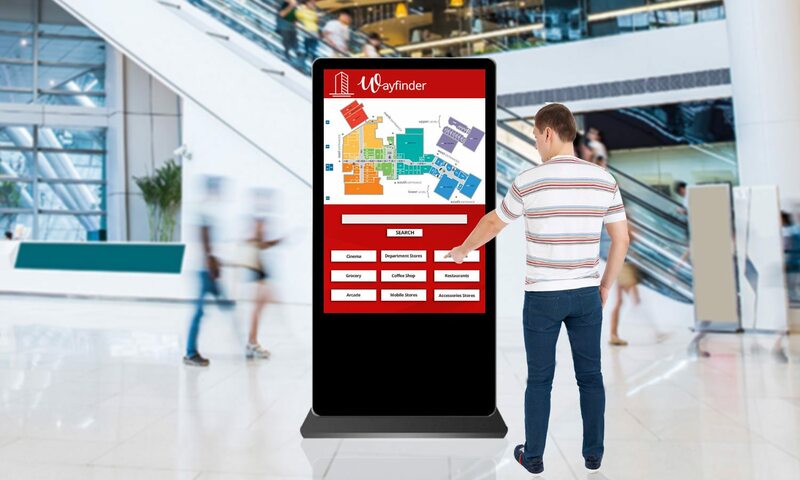 Provide timely content through information timetables, check-in counters/kiosks, DOOH/media boards, and touchscreen wayfinders, and showcase products and promotions on duty-free shopping displays. 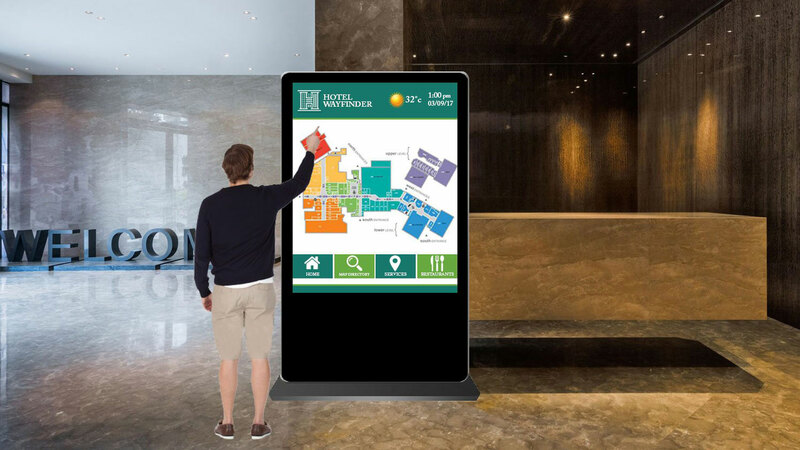 Deliver vivid information on upcoming events and support wayfinding functionality within the park. 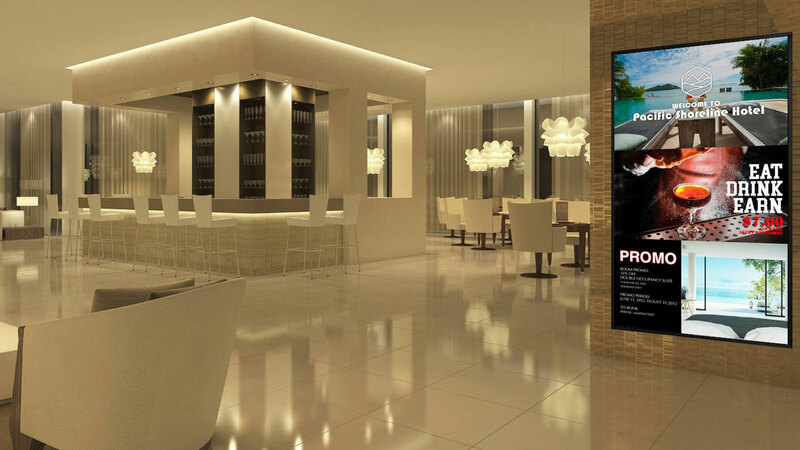 Make it easy for movie-goers to find the title they want, with information on the latest releases, movie times, directions and ticketing information. 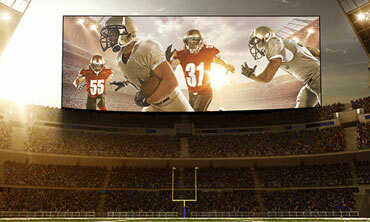 Live streaming of all the action from the pitch, with web content, broadcasts, and advertisements to enrich the stadium experience. 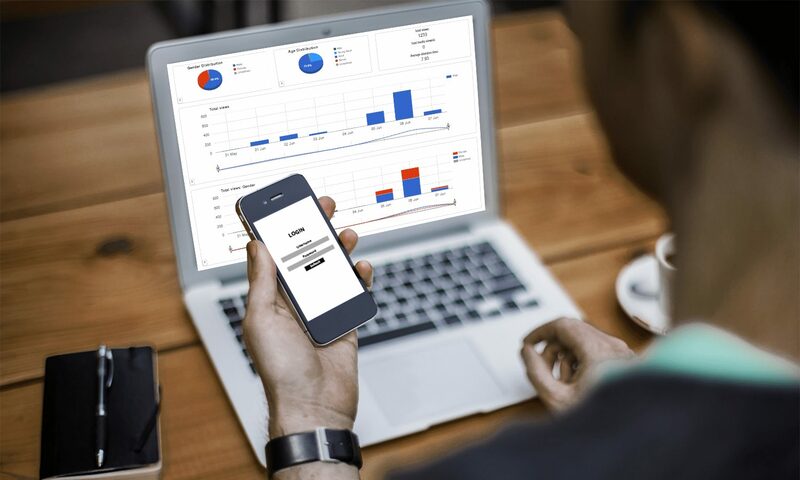 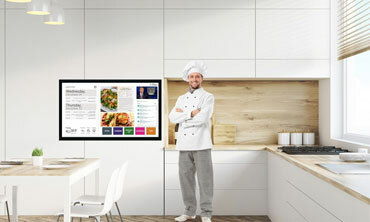 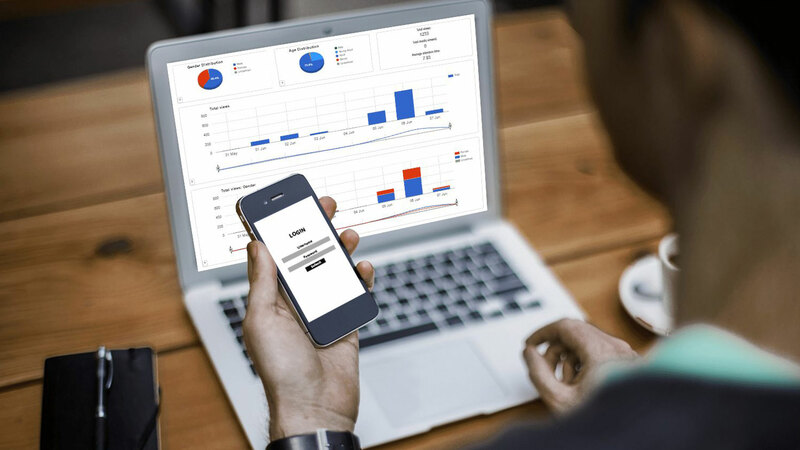 Deliver information to your guests on-demand on their own time. 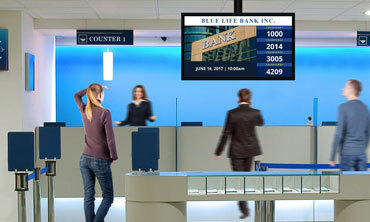 Custom video presentations are not reserved for digital displays around your location. 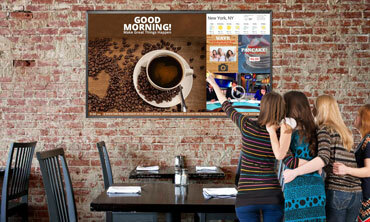 You can also integrate them with in-room television entertainment. 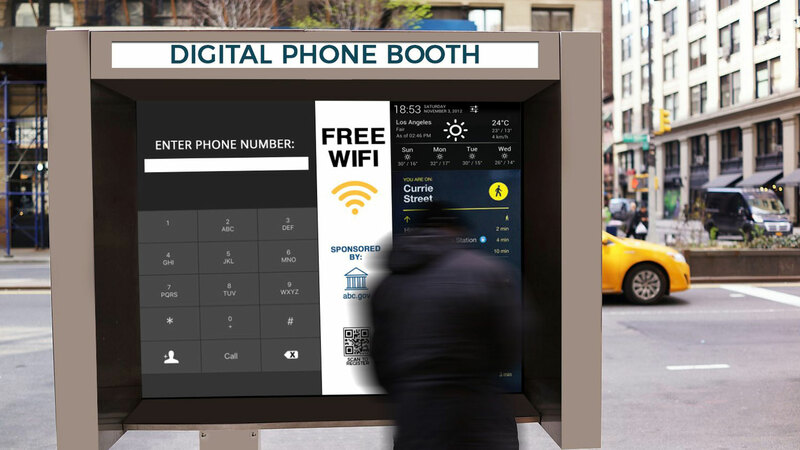 Use an idle phone as a signage display. 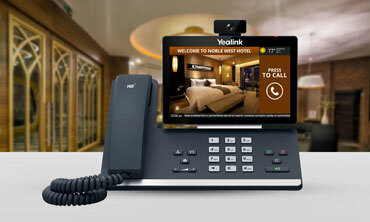 Use your hotel phones as a marketing tool that can upsell your products and services. 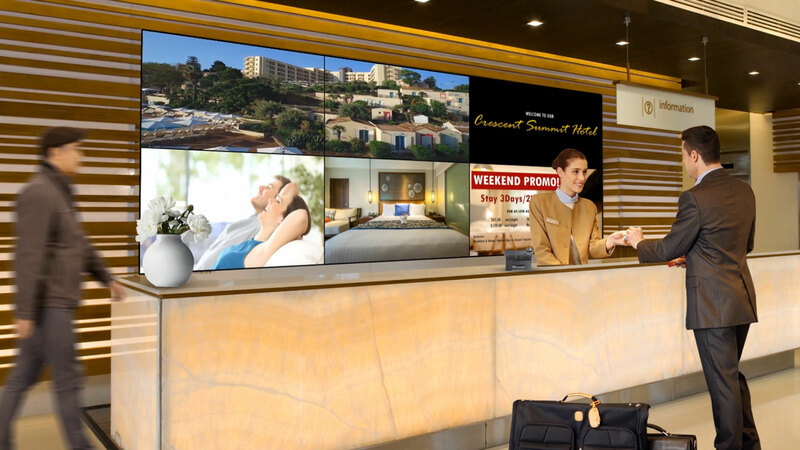 Provide useful information and digital assistance to enhance your guest experience. 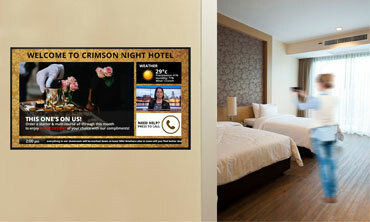 Post your hotel brand name and marketing materials throughout the location. 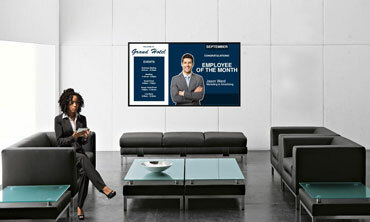 Highlight on employee empowerment by recognizing employee efforts and commending them for a job well done. 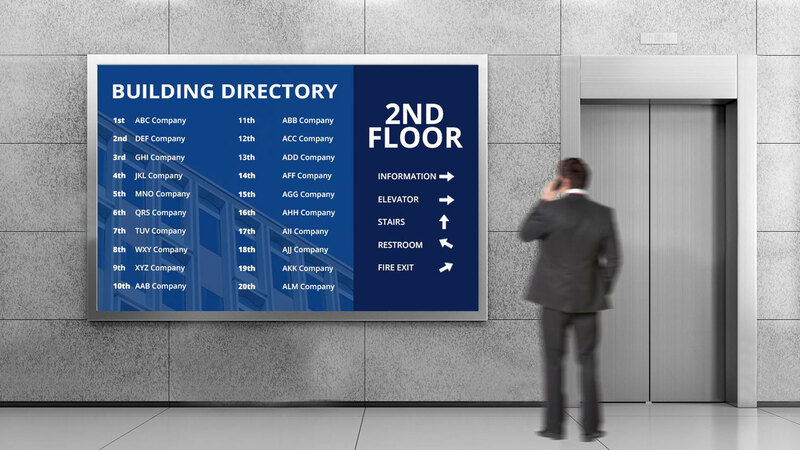 Use signs as a way to direct people around the establishment and highlight special points of interest. 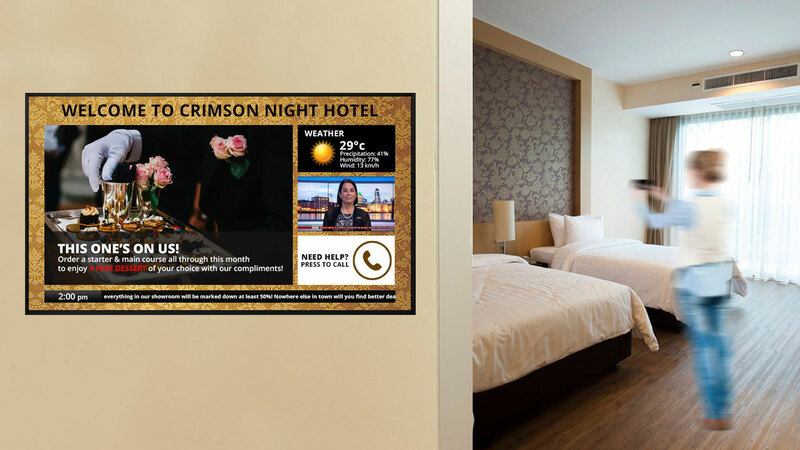 Provide information on weather and hotel amenities, including special offers, in-hotel shops and limited-time events. 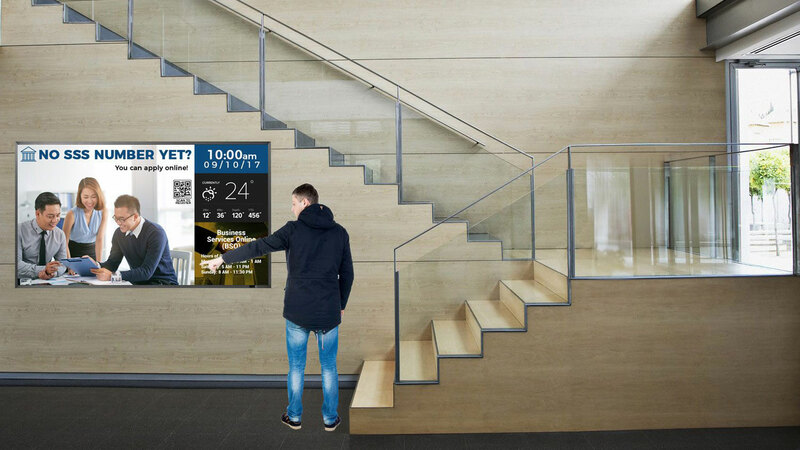 Roam around the location with 3D graphics that you can manipulate on your screen. 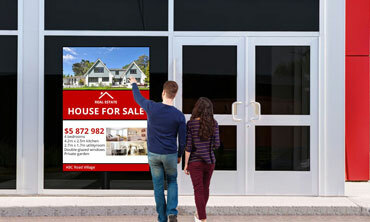 See other properties available for lease or for sale. 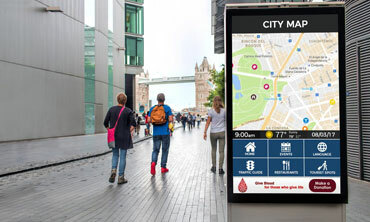 Find your way around the vicinity and neighborhood. 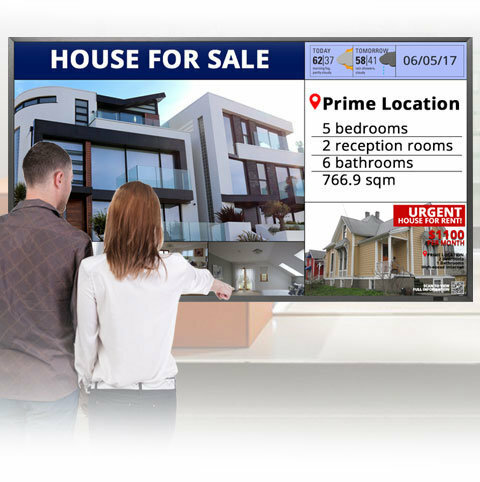 Make your home safe and secure with digital solutions to help you take care of your family. 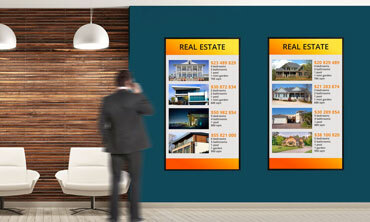 Design your home before you even purchase the items. 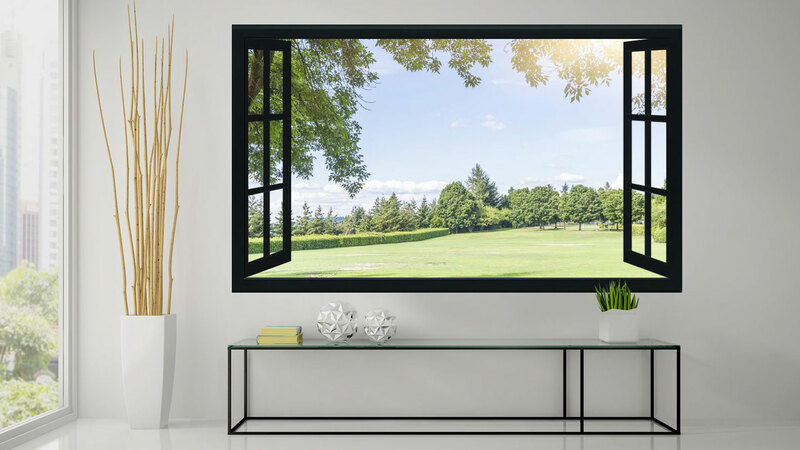 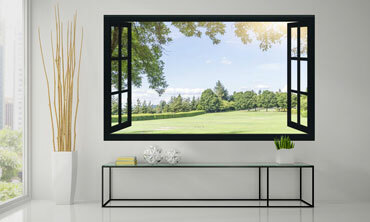 Make your window panes a different scenery whenever you want. 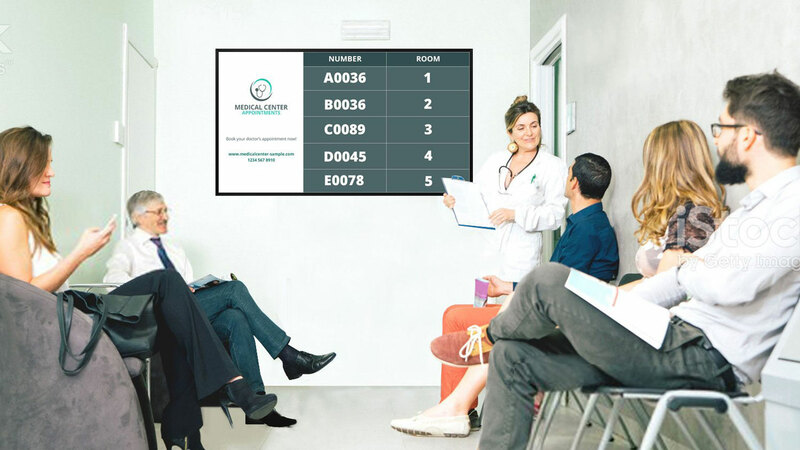 Know the diagnosis of a patient, attending doctors and medication schedules. 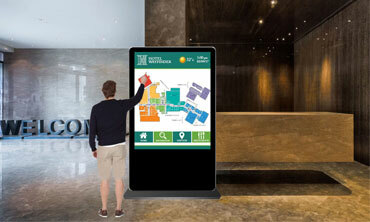 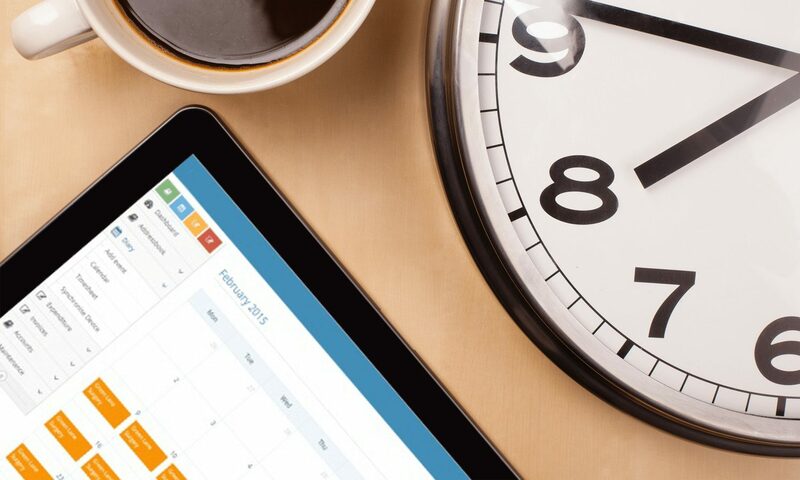 Allows people to master directions fast, helping to combat confusion and save time wasted on late appointments. 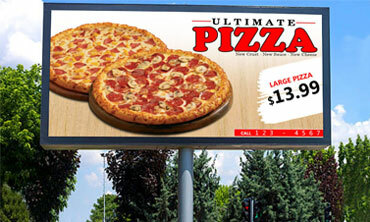 Removes the anxiety that comes with not knowing how long you may be sitting there. 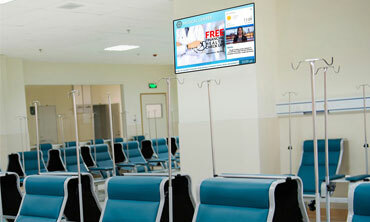 Update patients about the services existing in your healthcare organization.